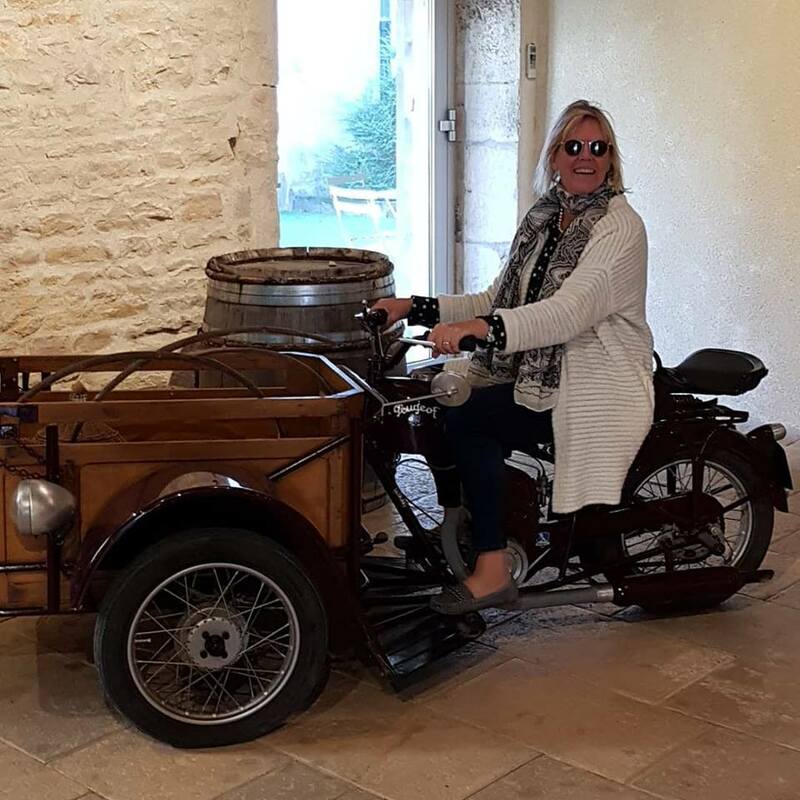 The Burgundy (and Champagne) Tour 2018 by ombiasy WineTours, led by Annette Schiller, took place from Thursday, September 20 to Sunday, September 30, 2018. 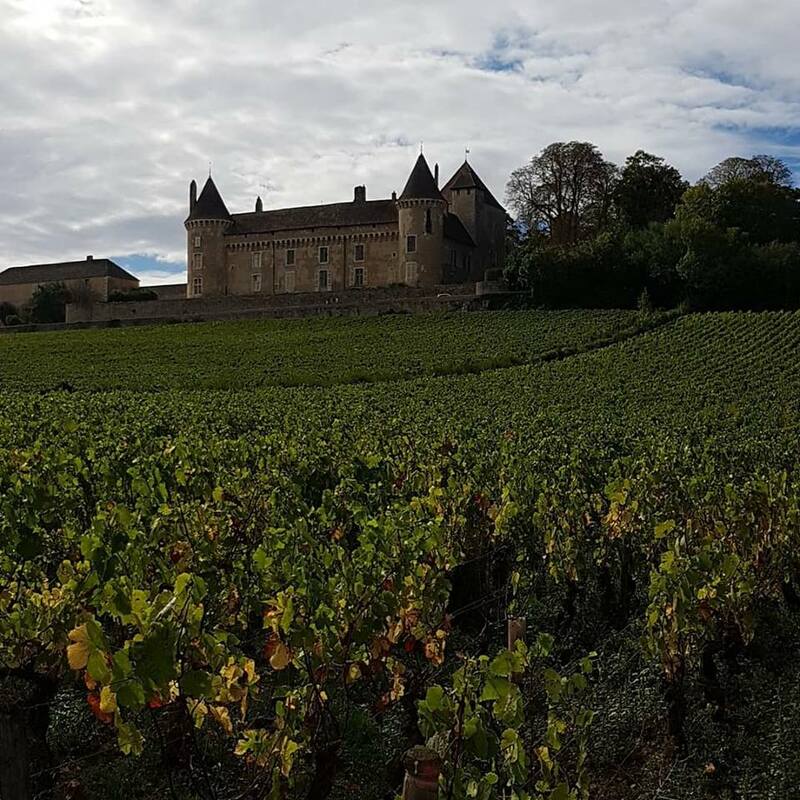 Annette Schiller: What comes to your mind, when you hear ‘Burgundy’? First class Chardonnay and Pinot Noir; ancient history; world-renowned vineyards; Cistercian monks; 1000 year old abbeys; quaint small wine villages; the Hospice de Beaune; good cuisine. 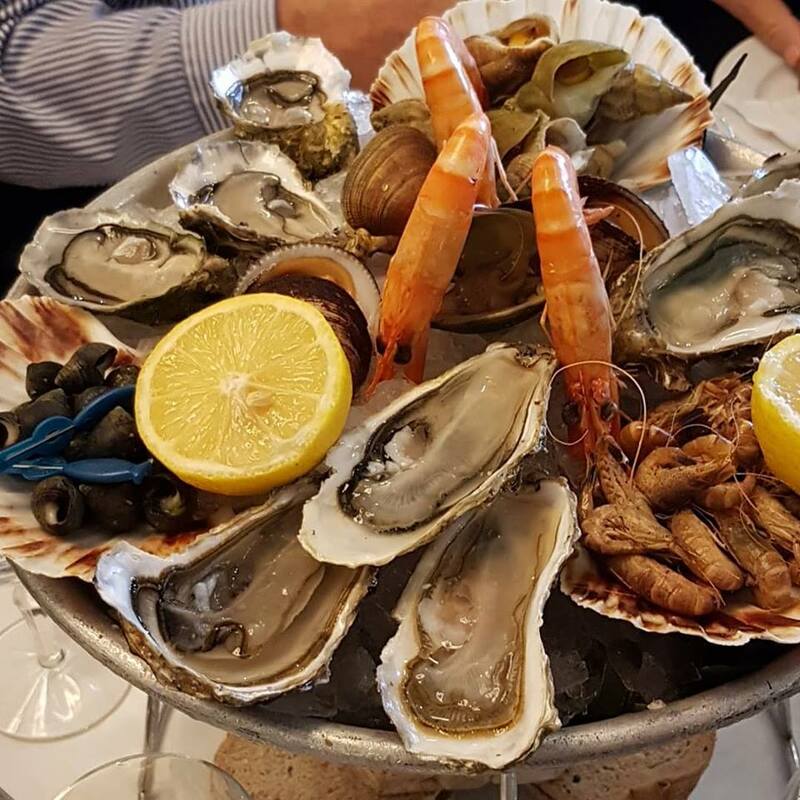 We explored in detail these different aspects during our tour through Burgundy and the Champagne region. We started in vibrant, cool, sophisticated Lyon, the capital of Haut Cuisine, travelled through Beaujolais, and worked our way up to the north, visiting the Beaujolais, the Mâconnais, the Côte Chalonnaise, traveling through the most famous white wine vineyards in the Côte de Beaune, to the world famous red wine vineyards in the Côte de Nuits, to Chablis and crossing into the Champagne region before ending in Paris in the famous La Coupole restaurant. Burgundy is one of the world’s best-known wine areas, but perhaps one of the least understood. Burgundy is the most terroir-oriented region in France. Immense attention is paid to the area of origin, as opposed to Bordeaux, where classifications are producer-driven and awarded to individual châteaux. In Burgundy a specific vineyard or region will bear a given classification, regardless of the owner or producer. Secularization during Napoleonic times and the Napoleonic inheritance law led to a subdivision of even the most precious vineyards so that some growers hold only a row or two of vines. Clos de Vougeot for example is a vineyard of 130 acres today parceled into plots owned by 80 different owners. This led to the emergence of négociants who aggregate the produce of many growers to make a single wine. Burgundy with its 80,000 acres under vine represents just 3% of the French vineyard surface area. 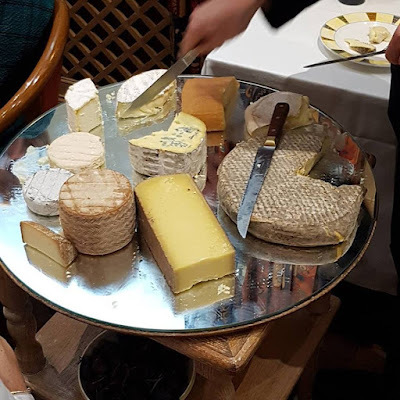 The core of the Burgundy region is divided into five appelations from north to south: Chablis, a predominantly white wine region; Côte de Nuits, predominantly red with the world-famous Grands Crus such as La Tache, Romanée Conti, Clos de Vougeot, etc; Côte de Beaune, red and white, including the world’s most expensive white wine, the Grand Cru Montrachet as well as the famous Grand Cru Charlemagne. Côte de Nuits and Côte de Beaune together form the so called ‘Côte d’Or’, where the Grand Crus are located. Côte Chalonnaise and the Mâconnais follow further south and transition into the Beaujolais. According to the French land registry Beaujolais belongs to the Burgundy region. When we talk about Burgundy here I am referring to the 5 core regions. 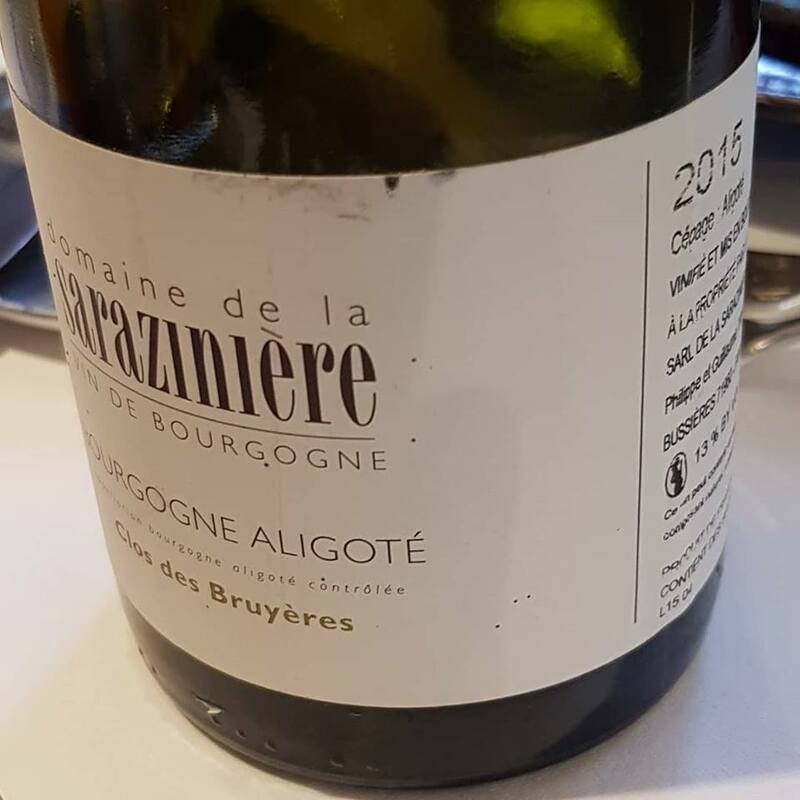 Nearly all white Burgundy is Chardonnay with only 6% Aligoté planted. Red Burgundy is almost 100% Pinot Noir, with a small amount of Gamay. There also is 3% ‘Passetoutgrain’, which is a blend of Pinot Noir and Gamay. The Cistercian monks were instrumental in introducing winemaking in Burgundy and spreading the art of winemaking to other parts in Europe. Most of the participants arrived a day or two days before the start of the tour. Those who were already in Lyon on the evening before the tour had dinner at Brasserie Léon de Lyon, a Lyon institution for almost 100 years. 01.00 pm Welcome coffee and introduction to the Burgundy wine region at Grand Hotel des Terreaux in Lyon. The Grand Hôtel des Terreaux in Lyon is a 4 star Art-Deco hotel in the heart of Old Lyon, the UNESCO World Heritage Site. It combines the atmosphere of an old-fashioned 19th century town house with a modern, innovative décor. It also has a small indoor pool and hot tub. Just next to the hotel is the Broc Bar, which was the place to go for those who wanted to sit down and have a drink or small bite, before going to bed. 02.00 pm Guided sightseeing tour of Lyon with a historic mini bus. 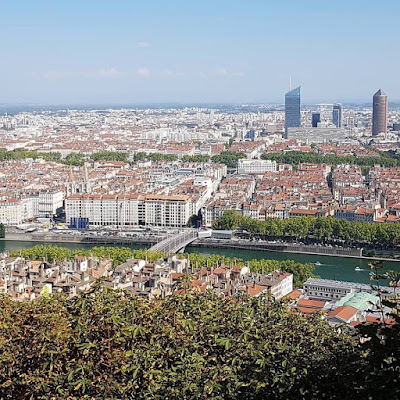 Lyon is France’s second largest city with around two million people, and a chic, sharp, savvy, historic, bustling city. It was founded by the Romans in 34 BC, and has been a commercial, industrial, and banking powerhouse for the last five hundred years. In the 15th century it became Europe’s publishing center, by the mid 18 hundreds it had become Europe’s silk-weaving center, at the dawn of the 20th century it became France’s cineastic center, and today it is a sophisticated city with a dynamic cultural life, a thriving university scene, and France’s gourmet capital. The city center lies on the peninsular at the confluence of the Saône and Rhône rivers, the oldest Renaissance part of Lyon is sandwiched between the Saône river and the hillside to the west. Very special are the “Traboules”: interior passageways between houses being established during the “silk” period of Lyon. We did a ride out of time and out of touristic paths. 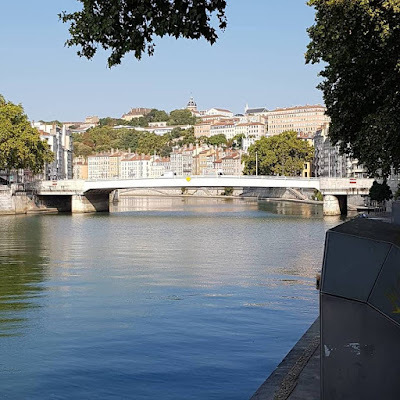 We spent two fun hours seeing the main sites of Lyon as well as off the beaten paths sites in a vintage VW Kombi. 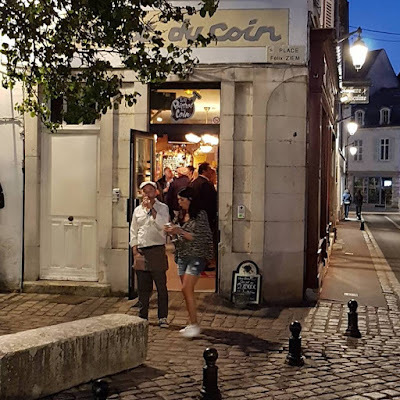 08.00 pm Dinner at Bouchon Chez Paul, a traditional Lyonnaise Restaurant. 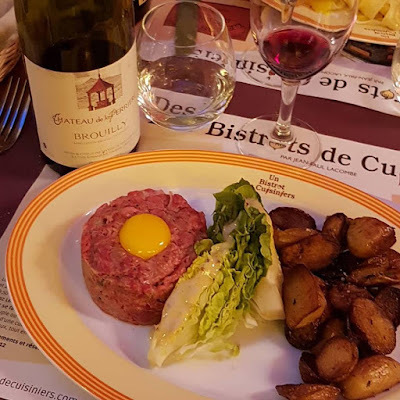 A Bouchon serves traditional Lyonnaise cuisine. Originally, the husband would watch over the dining room and pour the wine (Beaujolais or Côtes du Rhône), while the wife cooked every day, family-style cuisine, centered on the offal and cooked meats which Lyon is famous for. 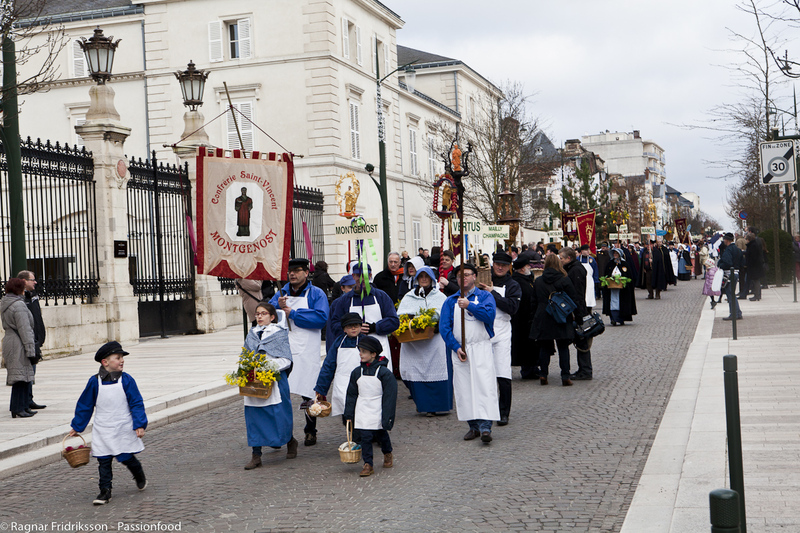 There are approximately twenty officially certified traditional Bouchons. Some of us went to the Broc Bar for after-dinner-drinks. 09.00 am Check-out at hotel, departure from Lyon, and drive through the beautiful Beaujolais region. 10.00 am Oeno-sensorial tour at Château de Pizay, Saint-Jean-d'Ardières, Beaujolais. The day started with a most educational and fun tour at Chateau de Pizay. The cellar is home to 8 discovery stations where you go on an initiatory journey of the wine making process in which you discover the basics of wine - tasting with quizzes on colour, aroma, flavour, flavour interactions, tannin, the difference between aromas and flavours, using oak barrels and the aging of wine. The tour ends in the tasting room. We also tasted 12 wines from the estate, both reds and whites. This beautiful old property dates back to the middle ages and takes it’s name from the Cote du Py which rises up on the western side of the chateau. There is an old Roman road close to the chateau which was the main route for goods heading north and the configuration of the chateau and its buildings is apparently very much in the style of a Roman villa. Once a very large estate this property has changed hands several times over the past few decades and now consists of about 40ha of vineyards as well as the chateau. All of the vineyards of the estate are farmed organically and vinifications are made in a classic way with ferments taking place in cement tanks and for the cru’s such as their Morgon a portion of roughly 25% ages in a variety of oak from barrels to larger foudres. These are wines of purity and generosity evident from very old vines. These are remarkably good values at each level. 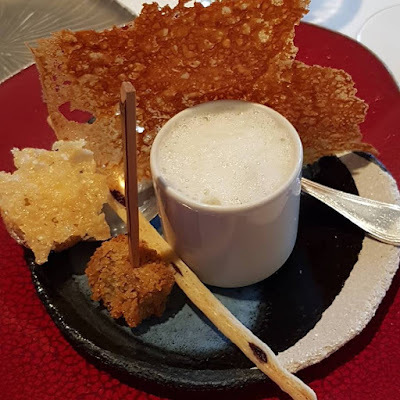 This 1 Michelin star restaurant is located in the center of Chaintré in the picturesque Mâconnais wine region. 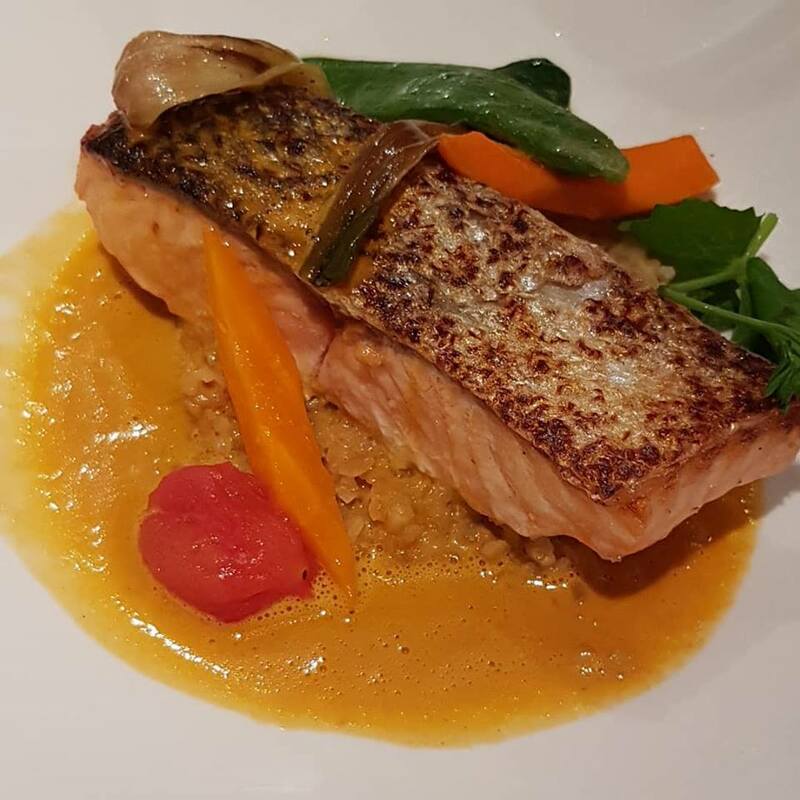 It is consistently delivering excellent and innovative dishes. 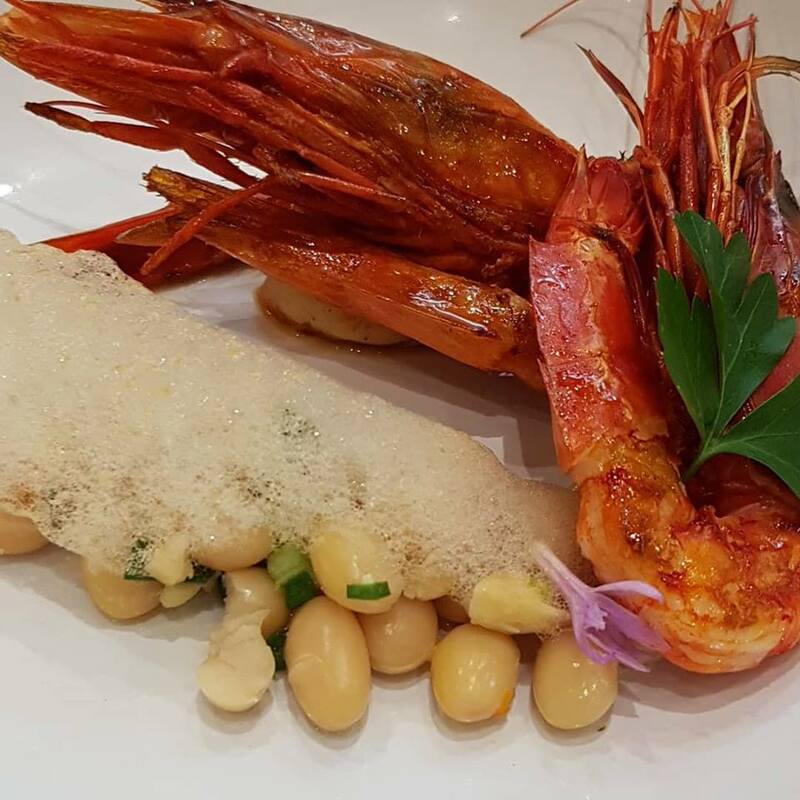 This beautiful restaurant is a gem and a family affair: Chef is Sébastien Grospellier and his wife Floriane is the front of house manager. We talked to both of them after the lunch. 03.15 pm Arrival and check-in at Hostellerie Château de la Barge in Crêche-sur-Saône. Hostellerie Château de la Barge in Crêche-sur-Saône is a 4 star historic hotel situated in a romantic park with an outdoor pool, and a very good restaurant, which is recommended the Michelin guide. 05.00 pm Visit and tasting at Domaine de Fussiacus in Fuissé, Poully-Fuissé, Mâconnais, with Owner/ Winemaker Yannik Pacquet. Owner/ Winemaker Yannick Paquet was our host. 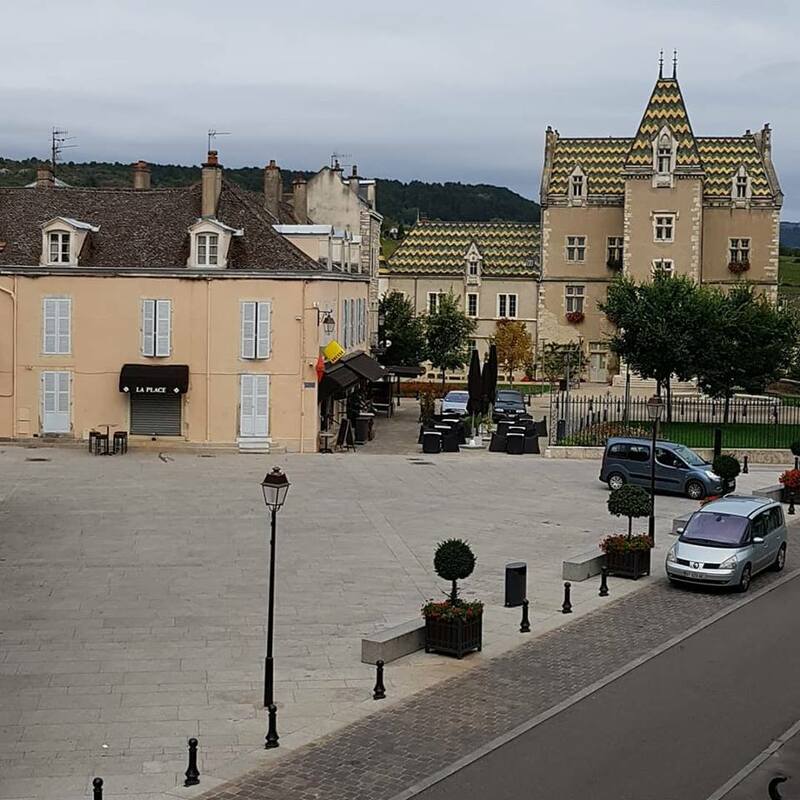 Situated in the heart of the charming little village of Fuissé, Domaine de Fussiacus has since its creation in 1989 been a producer of top Pouilly-Fuissé wines. Owner Jean-Paul Paquet, son of a winemaker, grandson of a cooper, succeeded his father on an 8 acres domaine in 1978. Over the next 10 years he increased the vineyard surface and made different acquisitions to create Domaine de Fussiacus, named after the Roman lord who founded the village of Fuissé. In 2005, Yannick, Jean Paul’s son, who has just finished his studies in viticulture and oenology, started to work too in the domaine. Its vineyards are spread over small hills exposes East, South-East, with an average altitude of 250 meters. The only grape variety is Chardonnay. 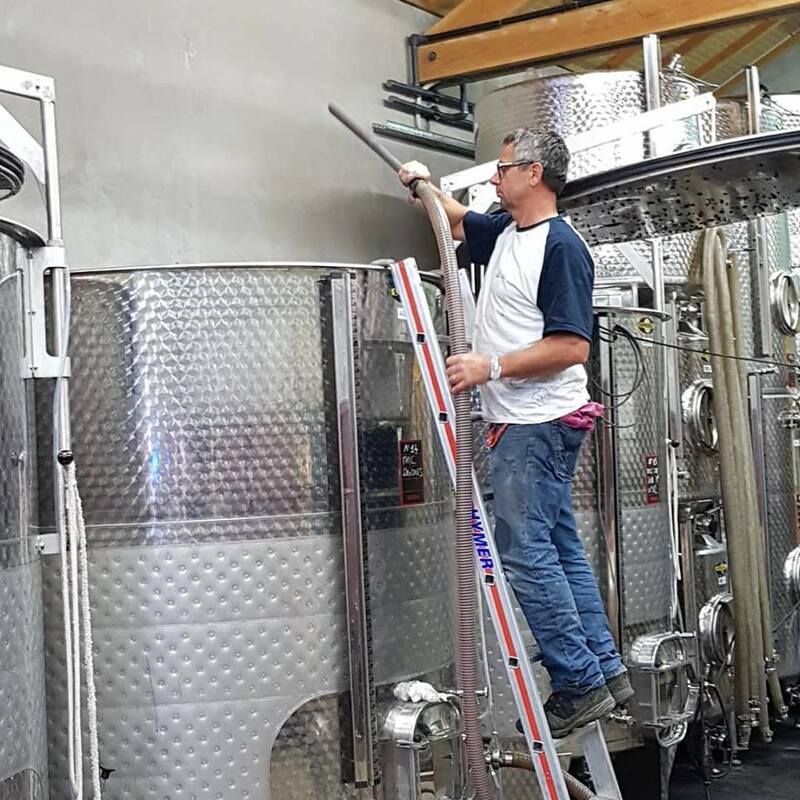 All wines are produced in order to protect the environment, by using techniques from organic farming, hand-picking, pneumatic pressing, temperature control, and no yeast addition. Everything is done to obtain a wine as natural as possible. 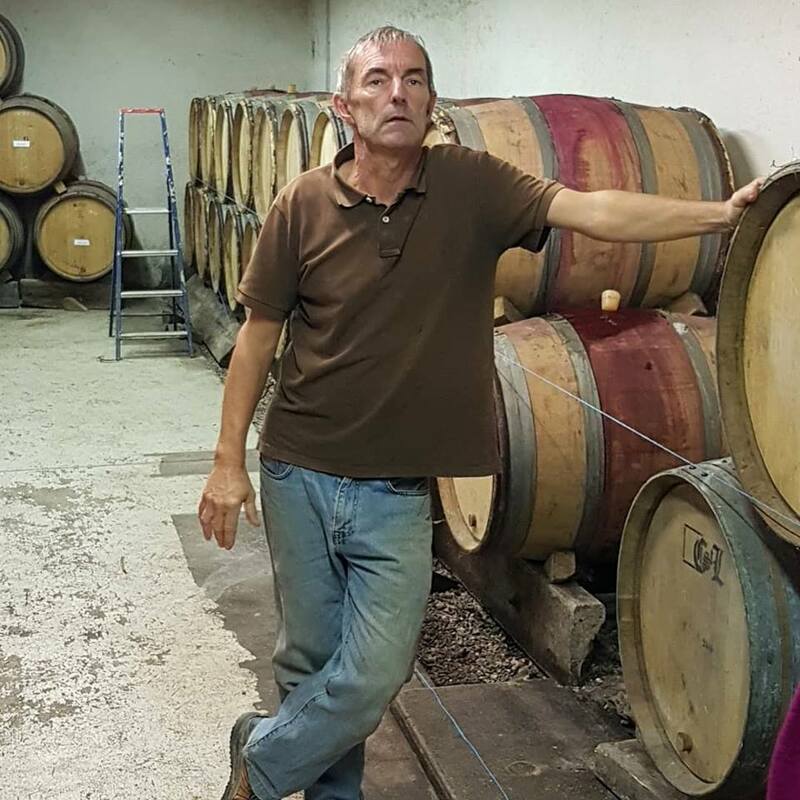 Jean Paul Paquet crafts Mâconnais’ wines with tremendous character and wonderful intensity of pure fruit, undergoing barrel ageing to add roundness and a slight spicy touch. His wines provide a great introduction to the charm of Mâconnais whites. 06.45 pm Back at Hostellerie Château de la Barge in Crêche-sur-Saône. 07.30 pm Dinner at Hostellerie Château de la Barge. 10.30 am Vineyard tour, cellar tour and tasting at Domaine Desvignes in Givry, Côte Chalonnaise, with Owner/ Winemaker Gautier Desvignes. Owner/ Winemaker Gautier Desvignes was our host. This family domaine was founded in 1870 and handed down from father to son. Today the fifth generation is managing the estate and the sixth generation – Gautier Desvignes - came on board in 2016. The domaine is beautifully situated at the foot of a hill, amongst the vines. The method of farming is “culture raisonnée”, i.e environmentally conscious, and the Devignes’ philosophy is best described in their own words: “Our principle is to conserve the typicity of the wines of Givry by showing the terroir, and the specific fruit aromas.” Harvesting by hand goes without saying, and fermenting and ageing is done in tanks or large wooden vats. The Desvignes are very careful with new oak to not mask the authenticity of the Givry appellation. 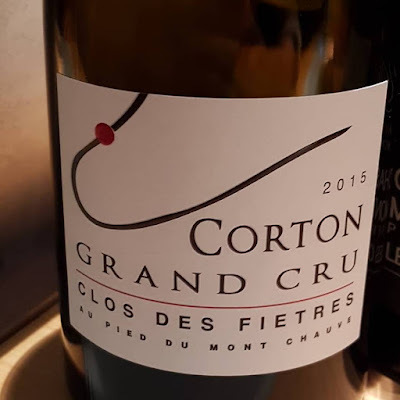 Givry is an often overlooked appellation of about 680 acres that produces wonderful reds and whites, and comprises 26 climats classed premier cru. The Givry reds are often generous, and straightforward. The whites are distinguished by finesse and subtlety. 12.45 pm Lunch at restaurant Le Mercurey in Mercurey. This restaurant in this former coach stop offers classical Burgundian cuisine and wines from the region at its best. It is always a surprise to stop at these unassuming places to be in for a real treat. 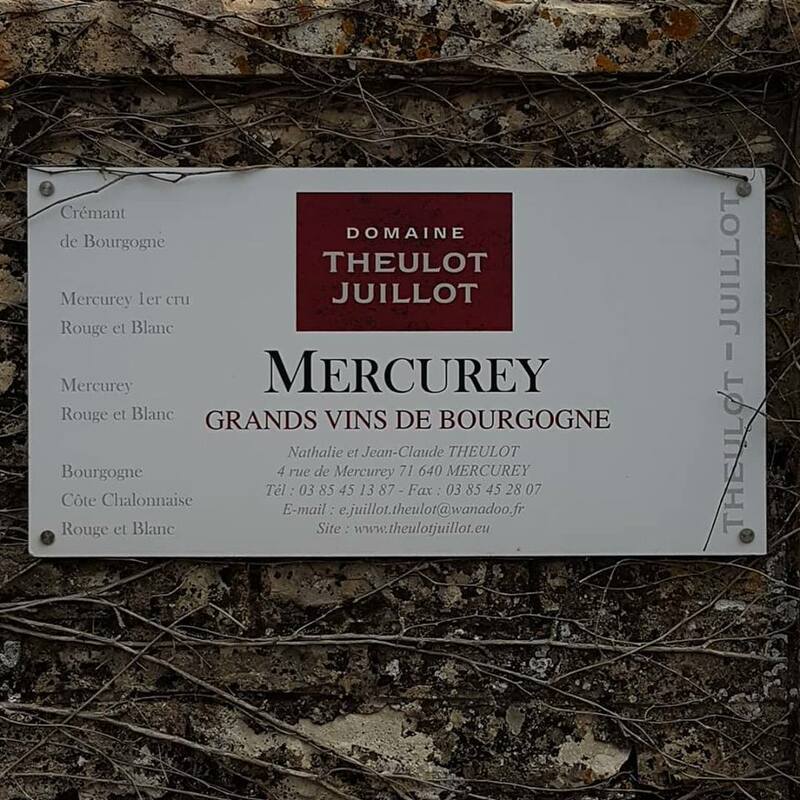 02.45 pm Cellar tour and tasting at Domaine Theulot-Juillot in Mercurey, Côte Chalonnaise, with Owner Nathalie Theulot. Owner/ winemaker Nathalie Theulot was our host. We met her husband owner/ winemaker Jean-Claude Theulot in the cellar. This family domaine of 11.5 hectares was founded by Emile Juillot in the early 1900s, and was long known under the name Domaine Emile Juillot. Current owners are Nathalie Theulot, granddaughter of Emile and her husband Jean-Claude Theulot. Winewise very fittingly described the estate: “Old fashioned” burgundy producer, in the best sense of the words. Serious, age-worthy wines which show off both the unique aromatic joys of Pinot Noir and the particular character of the six premier cru sites of Mercurey that they cultivate. These are wines of the utmost integrity, not prettified in any way, because they do not need to be. 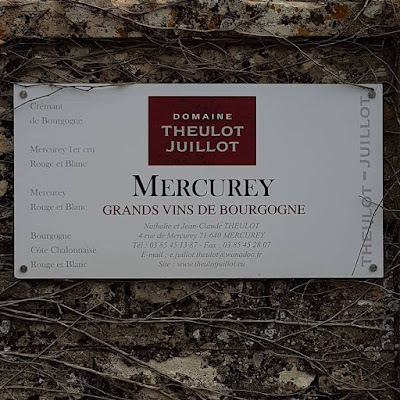 Jean-Claude Theulot, Emile Juillot’s grand son-in-law, has steadily raised the renown of this estate to the top echelon of Mercurey. 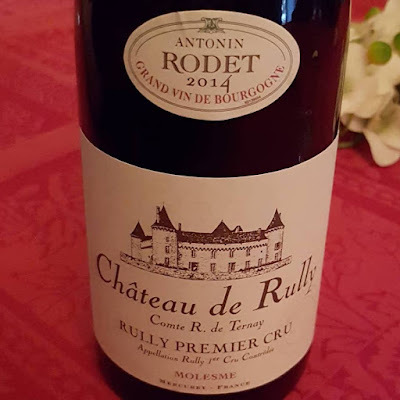 Fittingly, the name has been changed from “Emile Juillot” to “Theulot-Juillot” in recognition of the transformation that he has wrought.” Nathalie told us that since 2004 the estate has adopted sustainable viticulture practices with the aim to eventually convert to biodynamic winemaking. 05.00 pm Guided tour of the Château de Rully and tasting at Domaine Rully, with Owner Count Raoul de Ternay. Owner Count Raoul de Ternay was our host. Visible from far away among the vineyards, the Château de Rully is a medieval fortress built in the 12th century. Visiting the castle will take you on a journey through French history from the middle ages to today. Since its origin, the castle has been kept in the same family and the current owner Count Raoul de Ternay guided us through his home, showing the history of his ancestors. By being a private property (and not a museum) every single visit is a unique and authentic experience. 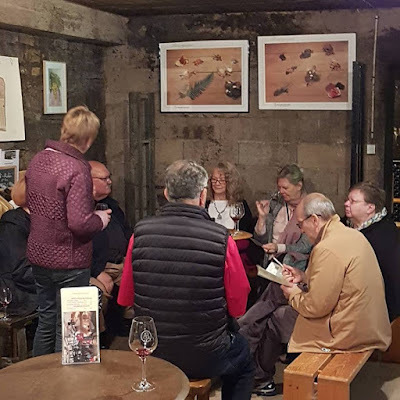 The tour ended with a tasting of the Château’s wines in the medieval kitchen. 06.45 pm Check-in at Hotel Le Chevreul in Meursault, Côte de Beaune. Hotel Le Chevreul is a 3+ star old school hotel in the historic center of Meursault owned by wine Domaine Matrot. Before dinner, we had a bit of time to walk around in Meursault. 08.00 pm Dinner at restaurant Le Chevreuil in Meursault, with the wines of Domaine Matrot. 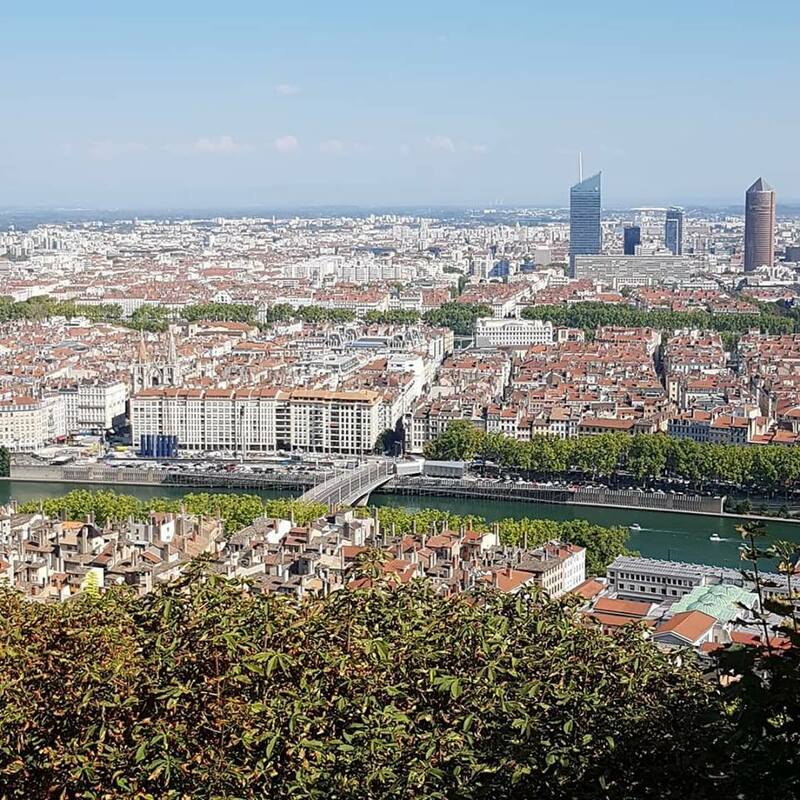 Europe - and that includes France – on Sundays the stores are closed and this is the day to decompress, to relax, to spend time with family or friends, to go for long walks, to have a long luncheon, to enjoy doing things that the working days do not allow for. 10.20 am Walk to Cave Ropiteau. 10.30 am Cellar tour and tasting at Cave Ropiteau Frères in Meursault, Côte de Beaune. The arrival of the railway in Meursault in 1848, incites Jean Ropiteau to found his own wine house. 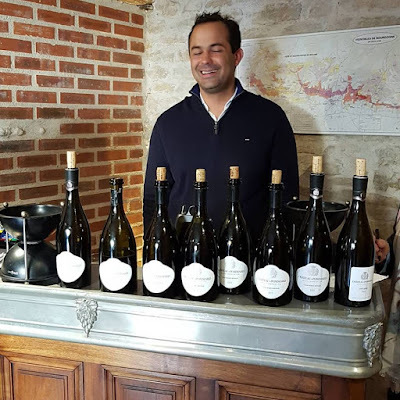 Aged 24, this winemaker from Monthélie, whose Burgundian roots date back to the 16th century, has sensed that this new means of transport would permit him to make Burgundy wines famous throughout the world. His vision resulted in success and soon the name Ropiteau became a household name of great white Burgundy wines. Situated in Meursault, the cellars from the XVth and XVIIth century are among the most prestigious in Burgundy and are a former property of the Hospices de Beaune. With about 900 barrels in its cellars, Ropiteau Frères is today one of the biggest producers of oak matured white wine in Burgundy. 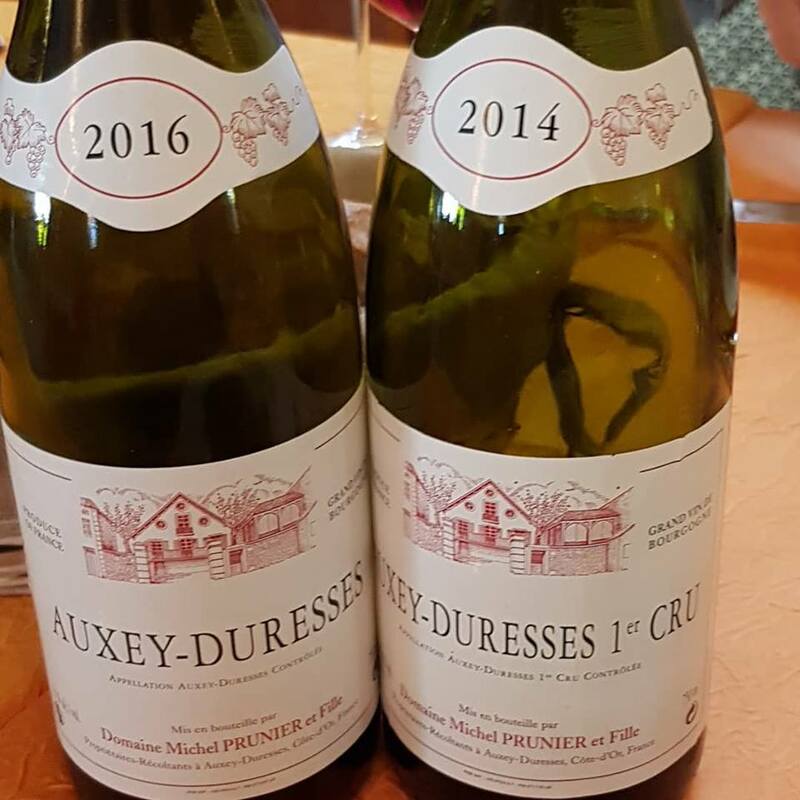 12.30 pm Lunch at restaurant La Cremaillere in Auxey-Duresse, Côte de Beaune, with the wines of domaine Michel Prunier & Fille. The restaurant is right across the street from the Domaine Michel Prunier & Fille and used to belong to the Prunier family. 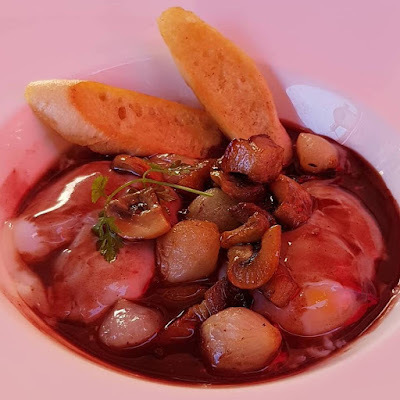 We had a typical Burgundian meal – an excellent Bœuf Bourguignon - matched with the wines from Domaine Michel Prunier & Fille. The tiny village of Auxey-Duresses is just 2 km from Meursault and one of the lesser communes which are also located in this section of the Côte de Beaune, virtually unknown to the casual Burgundy drinker. These wines provide a very good price-quality ratio. Auxey-Duresses sits at the juncture of the red wine terroirs of Volnay and Pommard and the white wine terroir of Meursault. The Prunier family has been making wine in Auxey-Duresses for over four generations. The Domaine Michel Prunier however was founded by him and his wife Michèle with 5 acres of vineyards in 1968. Daughter Estelle studied viticulture and after graduating in 2002 she worked in Bordeaux and Australia to gain experience. In 2014 she came home to work with her parents. Today the domaine has 30 acres under vine and they apply organic viticulture practices. Mirroring the soil situation in the valley they produce 30 percent white and 70 percent red wine. The flagship of the domaine is the Auxey-Duresses "Clos du Val”, a 1ière Cru. “We are very proud of this vineyard because it is a family vineyard” says Estelle Prunier. 03.00 pm Vineyard walk and tasting in the vineyards of Meursault, with Karoline Knoth and the Wines of Domaine Pierre Morey. We drove up to the vineyards and tasted wines right at the vineyards where they came from. All wines were from Domaine Pierre Morey. Karoline Knoth was our host. Karoline has a Diploma in European Ethnology and History from the University of Würzburg and lives in Meursault with her husband. She knows the town and landscape like the back of her hands. She did intensive research on the history of winemaking in Meursault and published a book (Allons en vendage) on wine making in Meursault during the 1930s. The Morey family origins can be traced back to at least the sixteenth century in Burgundy and since 1793 in Meursault. Each generation has worked the vineyards and made wine from the local grapes. The Domaine Pierre Morey -as we know it today- was established by Pierre Morey in 1971. The 26 acres of vineyards are in prestigious sites in Meursault, Pommard and Puligny-Montrachet, as well as in a few Grand Cru plots. From 1988 until 2008 Pierre Morey was the acclaimed winemaker at Domaine Leflaive and ran his own estate on the side. The Morey vineyards have been farmed organically since 1993 and biodynamically since 1998. The white grapes are crushed before pressing, with very little clarification of the juice, while Pierre likes regular lees stirring until Christmas – rarely thereafter except in years with higher acidity and late malolactic fermentation. 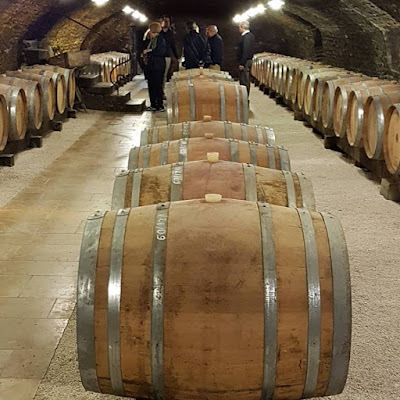 Typically the wines are raised in one third each new wood, one year old and two year old, before racking into older barrels before the next vintage, and bottling the following spring. 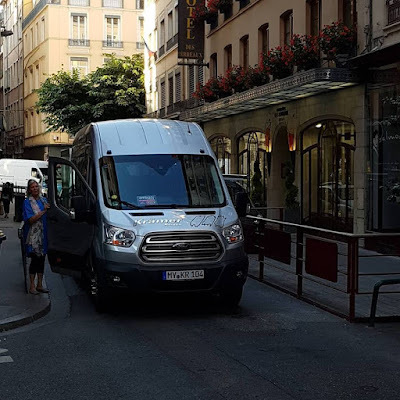 05.30 pm Arrival and check-in at Hôtel Henry II in Beaune. 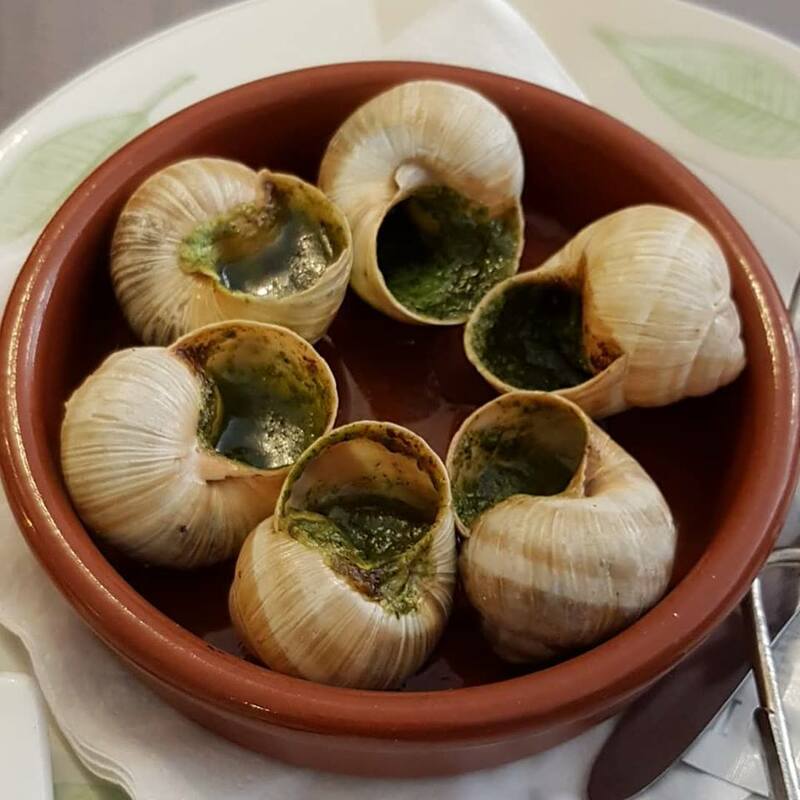 Hotel Henry II in Beaune is a 4 star hotel at the northern city gate of Beaune located within a 5 minute walk from the town center. Parts of the hotel buildings are in a historic monument with a second modern part added later. We had time to discover Beaune, Burgundy’s wine capital. Located between the prestigious Côtes de Nuits and Beaune, in the 18th century, the town became the centre of the wine trade. 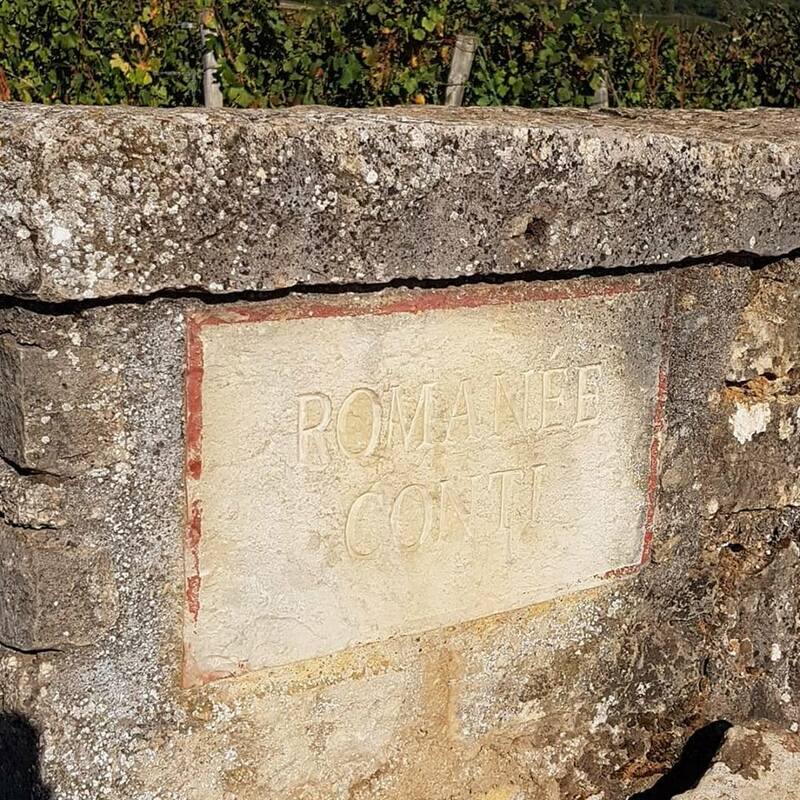 Even before the Revolution, professionals from the textile trade and cooperage specialized in buying, producing and shipping wines to foreign markets: Burgundy’s trade was born. In 1720, Maison Champy, in 1731, Maison Bouchard Père & Fils and in 1780 Maison Patriarche would become the pioneers of a “wine aristocracy”, rooted in its soils and tireless promotors of Burgundy wines. Under the cobbled streets runs one of the largest networks of cellars in the world, an underground town that’s home to thousands of wines casks (the Burgundy barrel) and millions of bottles from across the wine region.The town of Beaune is forever linked to an architectural treasure, the Hôtel Dieu de Beaune, otherwise known as the Hospices de Beaune. This former "Palace for the Poor" is the very image of medieval Burgundy, its courtyard and roofs of multi-coloured tiles a dramatic expression of the Golden Age of the Duchy of Burgundy. 09.30 am Departure from hotel and drive to Puligny-Montrachet. 09.45 am Guided walk into the Grand Cru Montrachet vineyards and cellar visit of Maison Olivier Leflaive in Puligny-Montrachet, Côte de Beaune, with Patrick Leflaive. Patrick Leflaive was our host in the cellar. A guide took us to the vineyards. 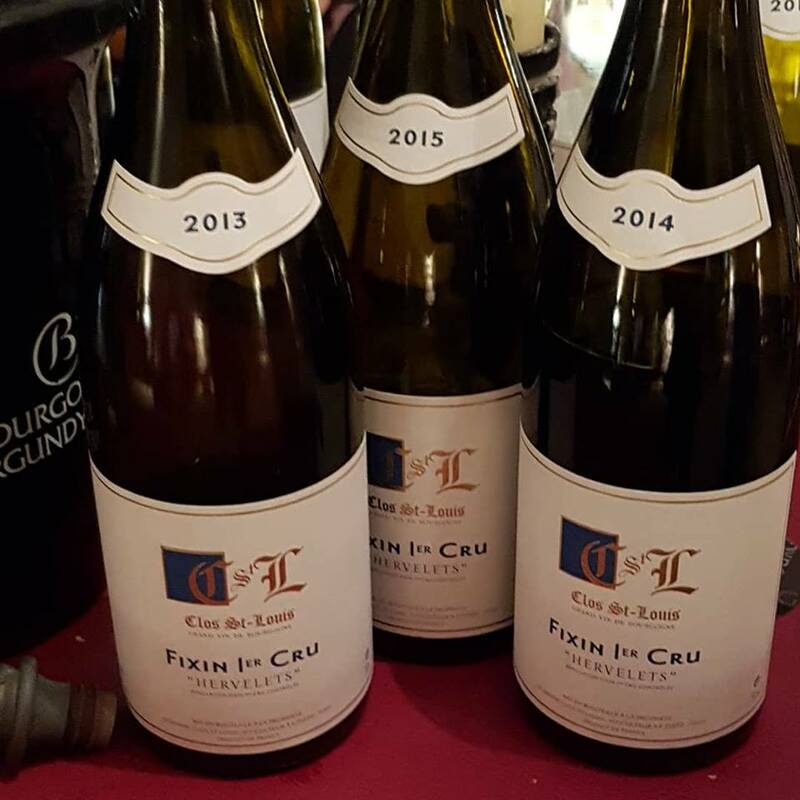 The Leflaive family is a long-standing Burgundian “wine” family who always could call some of the best vineyards in Burgundy their own. 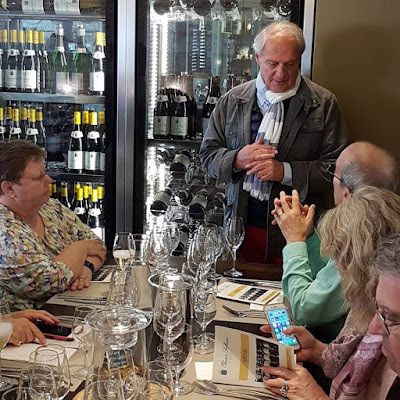 But it was Joseph Leflaive, grandfather of Olivier, Patrick and cousin Anne-Claude (owner of Domaine Leflaive, who died very suddenly last spring) who brought the family business to a different level when he founded Domaine Leflaive. In 1984 Oliver and Patrick left Domaine Leflaive and founded their own Maison Leflaive, a top négociant house. Maison Olivier Leflaive is continuously expanding and acquired several vineyards – among them Chevalier-Montrachet Grand Cru and Bâtard-Montrachet Grand Cru - that allows him to develop the “Domaine” and to build up his range of Domaine wines alongside the négoce business. 12.30 pm Lunch at restaurant La Table d’Olivier Leflaive in Puligny-Montrachet, with Owner Patrick Leflaive. Patrick Leflaive was our host. On the way to Chassagne-Montrachet we stopped at the Montrachet Grand Cru vineyards, where the most expensive white wine of the world grows to soak in the beautiful landscape with a view all the way to Meursault. 04.00 pm Visit and tasting at Château de Chassagne-Montrachet in Chassagne-Montrachet, Côte de Beaune. The château itself dates back to the eleventh century. Wineproduction started here already around 880 during the gallo-roman time. 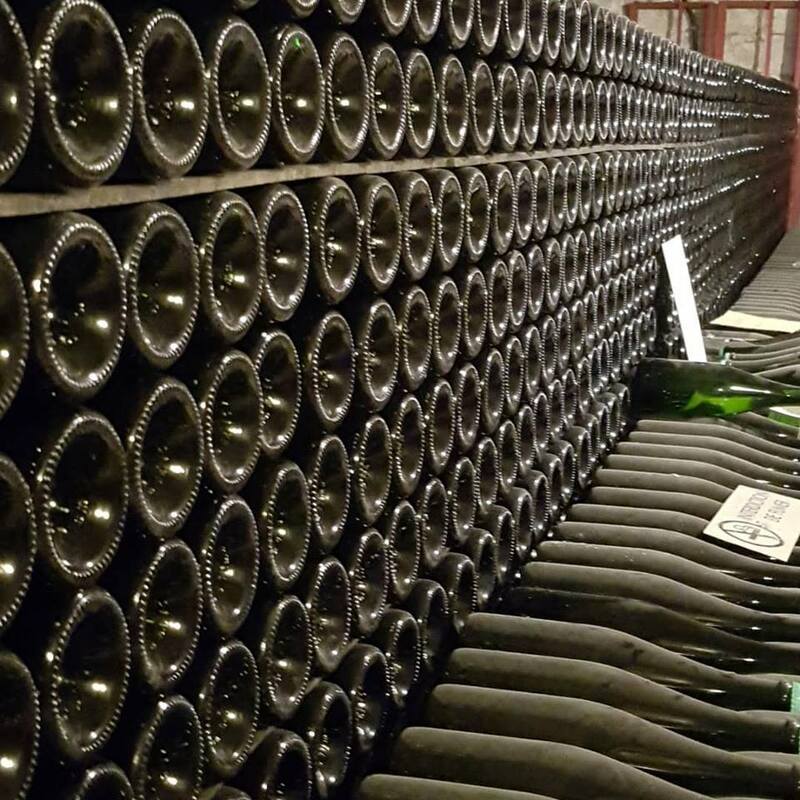 To the estate belong vast caves from the 11th and 14th centuries – about 1000 square meters – where wines are stored. 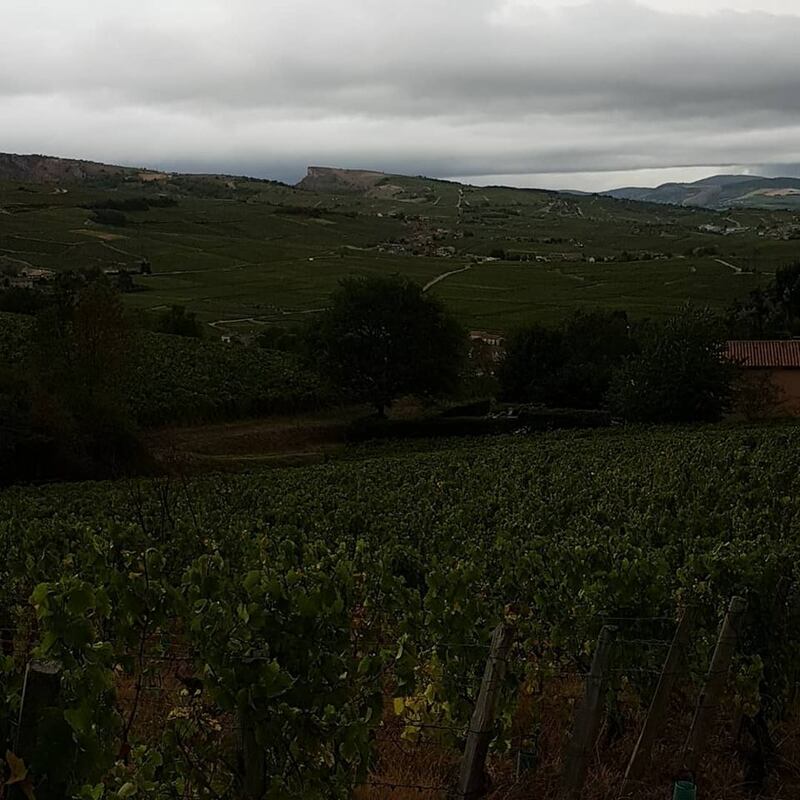 The Château de Chassagne Montrachet property totals 13 acres equally divided between vineyards planted with Chardonnay and Pinot Noir, all located within the Chassagne Montrachet producing area. The amazing thing about this domaine is the placement of their vines. Their Bourgogne Pinot and Chardonnay come from just outside the Chassagne appellation, while their Chassagne plots lie within extreme proximity to both Grand Cru both Batard-Montrachet and Chevalier-Montrachet. Since 1998 the estate belongs to the Picard family, a three generation winemaker family in Burgundy. The Whisky lovers may know Tullibardine which also belongs to the Picard family. 06.00 pm Back in Beaune. We had a leisurely day: Not much driving! 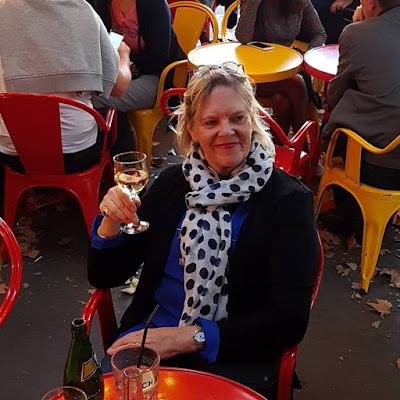 We stayed in and around Beaune, the Burgundy wine capital, and could walk to many places. While strolling through town you get a much better feel for this beautiful, historic place, still today entirely surrounded by the medieval city wall. 09.40 am We walked to Maison Joseph Drouhin. 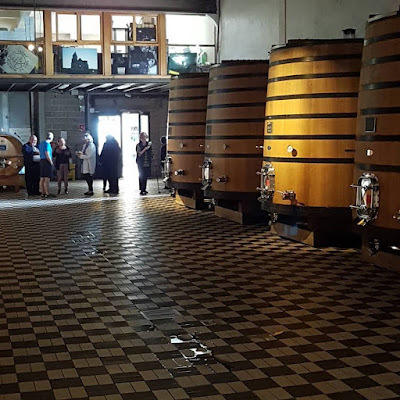 10.00 am Tour of the ancient cellars and tasting at Maison Joseph Drouhin in Beaune, Côte de Beaune. Joseph Drouhin was only 22 when he left his native Chablis to move to Beaune to establish his wine merchant business “Maison Joseph Drouhin” in 1880. His son started to build up a ‘Domaine’ and purchased vineyards in outstanding appelations. Today the Domaine Joseph Drouhin is with 182 acres one of the largest wine producing estates in the region. It owns vineyards in all of Burgundy: Chablis (38 hectares - 95 acres), Côte de Nuits and Côte de Beaune, (32 hectares - 80 acres), Côte Chalonnaise (3 hectares - 7.5 acres). It is comprised of a majority of Premier and Grand Crus, planted with the two Burgundian grape varietals, pinot noir and chardonnay. It is still also one of the major négociants in Burgundy producing wines made from purchased grapes grown in different parts of Burgundy. In 1988 they invested in Oregon and established the winery Joseph Drouhin in the Willamette Valley. Today both the estates in Burgundy as well as the one in Oregon are owned and operated by the great grandchildren of Joseph Drouhin. The most ancient vaulted cellars of Beaune belong to Drouhin. 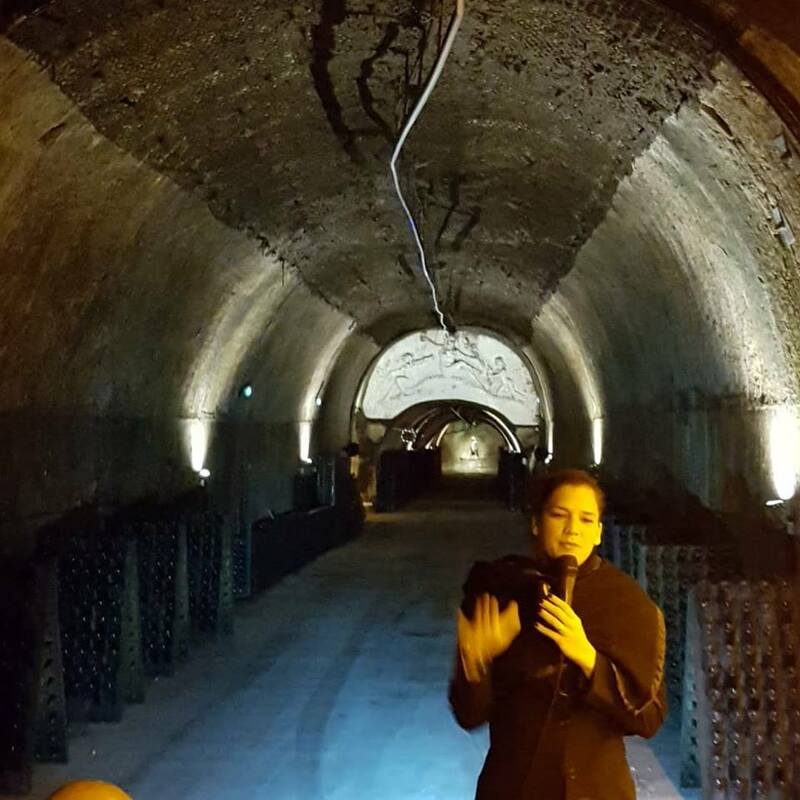 We will visit the historic cellars of about 2.5 acres under the center of Beaune. These cellars once belonged to the Dukes of Burgundy and later to the Kings of France. 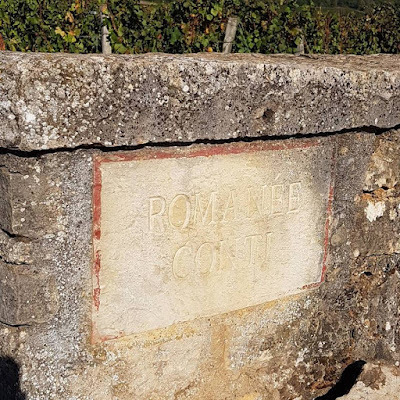 We will walk on history much older than the Kingdom of France, since already the Romans built wine cellars in Beaune and we will discover bricks, paths and walls nearly 2000 years old. 11.30 am Walk over to the Hospices de Beaune. 11.45 am Guided tour of the Hospices de Beaune. The Hospices de Beaune was founded in 1443 by Nicolas Rolin, chancellor of Burgundy, as a hospital for the poor and needy. It is still a hospital but services for patients are now provided in different buildings. The original hospital building, the Hôtel-Dieu, is one of the finest examples of French fifteenth-century architecture. The original building was used until 1971 as the hospital of Beaune and home for the elderly. Today the entire building has been converted to a museum. From the very beginning the Hospices benefitted from donations of land, money and vineyards from former patients and wealthy benefactors. The Hospices are now the owners of 135 acres of vineyards, including some of the most sought-after parcels in Burgundy. 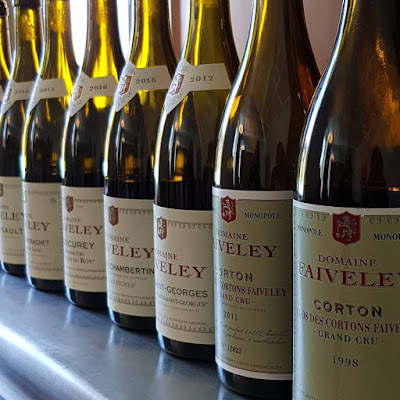 Every year on the third Sunday in November a charity wine auction (only barrels of the just harvested vintage) is organized at the Hospice which attracts bidders and wine aficionados from around the globe, and pretty much sets the price for that vintage of Burgundy wines. 01.15 pm Lunch at Le Carmin (1 Michelin Star) in Beaune. This is a Michelin-star restaurant. We had the daily lunch special. 04.30 pm Vineyard tour, cellar tour and tasting at Château de Pommard in Pommard, Côte de Beaune. Etienne Payet, Deputy Onsite Sales Manager, was our host. 06.15 pm Back at hotel. Time to wind down in the hotel or having a pre-dinner aperitif at one of the many wine bars in Beaune. 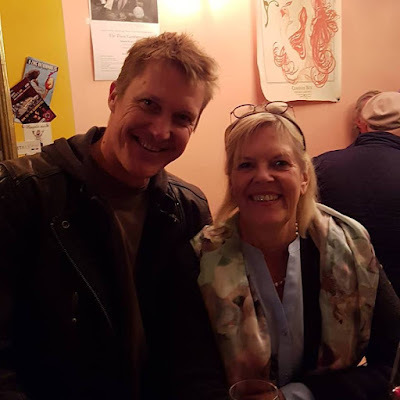 Annette and I went to our favorite wine bar in Beaune, Bistrot du Coin. 09.00 am Check-out at hotel and departure from Beaune. 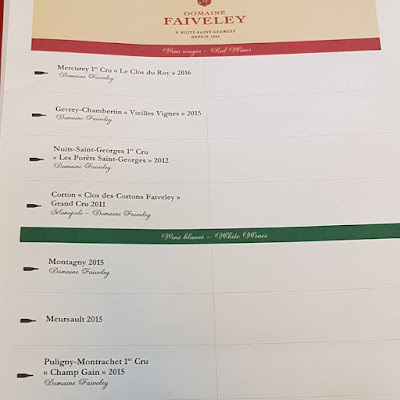 09.30 am Cellar tour and tasting at Domaine Faiveley in Nuits-Saint-George, Côte de Nuits, with Matilde Nicolas, Communications Director. Domaine Faiveley's technical team is overseen by Jérôme Flous, who we met during the visit. Matilde Nicolas, in charge of communications, was our host. Domaine Faiveley was established by Pierre Faiveley in 1825, and quickly became one of the top wine producers in Burgundy. After the great depression at the beginning of the 20th century, wine consumption decreased and sales fell drastically. 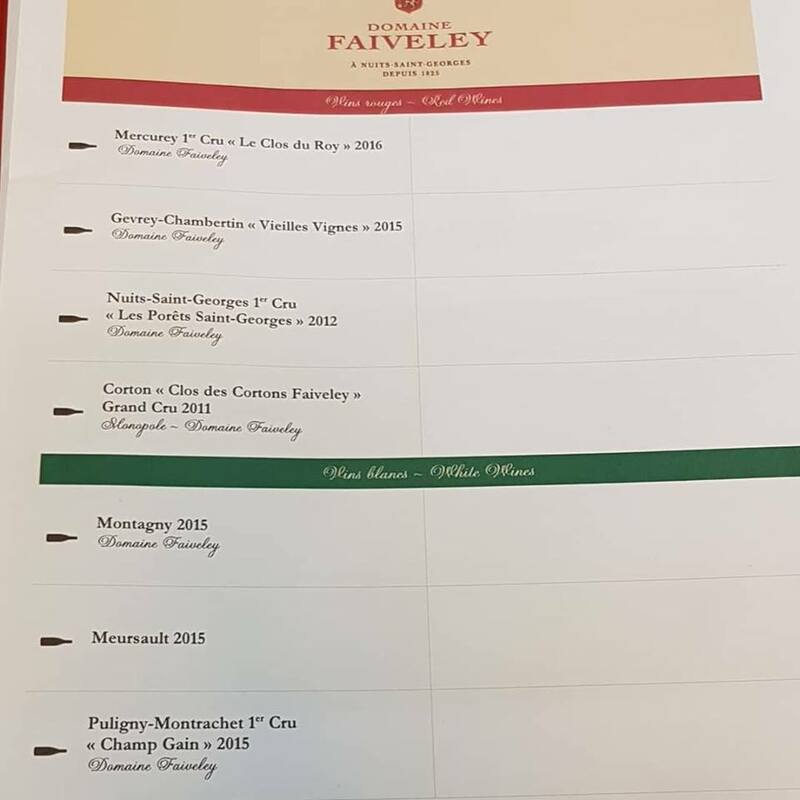 Proprietor then was Georges Faiveley and he came up with a brilliant idea to reduce the stock of his great wines. He and friend Camille Rodier founded the now world-famous Confrérie des Chevaliers du Tastevin, the renaissance of an old bacchic brotherhood from the Middle Ages. "As our wines are no longer selling, let's invite our friends to drink them!" Since 2007 the domaine is owned and managed by Erwan Faiveley, the 7th generation of the Faiveley family and great grand-son of George. 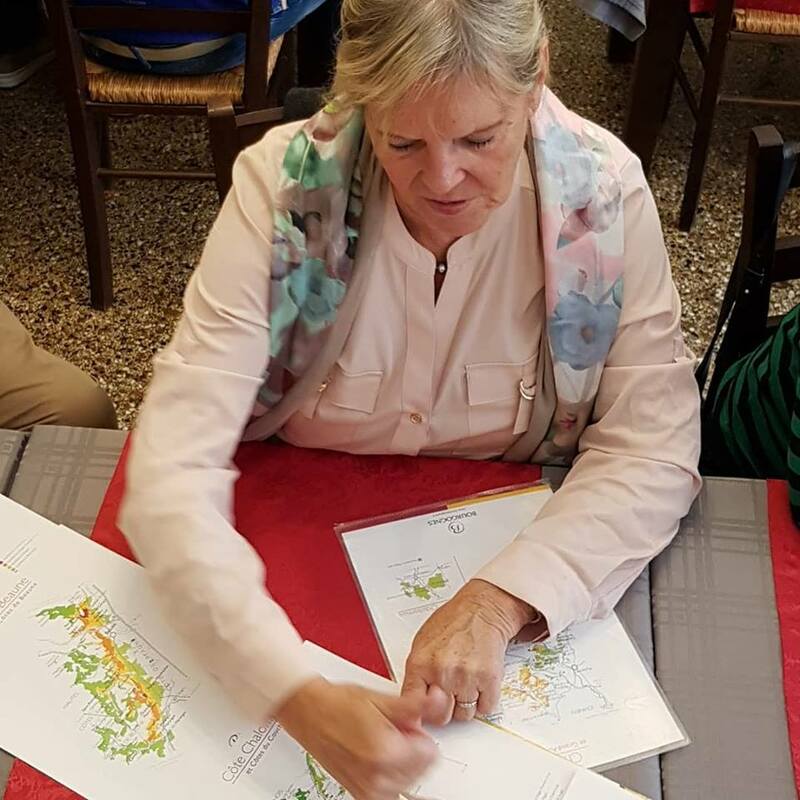 The domaine owns about 250 acres of vineyards – 150 acres were acquired over the years in the Côte Chalonnaise - with 25 acres of Grand Cru and 70 acres of Premier Cru sites as well as several solely owned sites (Monopol sites). 01.15 pm Lunch at restaurant Le Clos Prieur in Vougeot. This gorgeous restaurant is in the Château de Gilly, a historic building from the 14th century once inhabited by Cistercian monks. 03.30 pm Guided tour of the Abbey de Cîteaux. The abbey was founded in 1098 by a group of monks who wanted to live more closely according to the “Rules of St. Benedict” (Pax, Ora et Labora). Monk Bernard later left Cîteaux to start a separate abbey: Clairvaux. He was the first abbot at Clairvaux and is since known as Bernard of Clairvaux, who was instrumental in spreading viticultural knowledge and the Pinot Noir grape to the regions east of the Rhine river. In the early 13-hundreds Cîteaux boasted of 500 houses and was the center of Christianity. Cîteaux had extensive vineyard sites – among them the Clos de Vougeot. 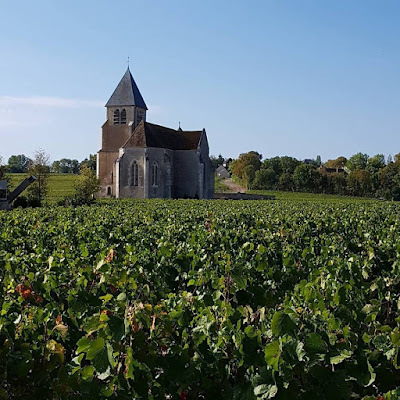 The monks became experts in viticulture and it was here in Vougeot that they were the first to notice that different plots gave different wines, and laid the earliest foundation of the “Cru” system. Cîteaux survived the 100 year war and had about 200 monks in the early 16-hundred. With the religious war in France the monk population declined and later the French Revolution and secularization did the rest. In 1791 the abbey was seized by the French government, the monks had to leave and Cîteaux was sold. In 1898 the abbey of Cîteaux was bought back by the Cistercian Order and repopulated with monks from other abbeys. Today, there are 30 monks living at the abbey of Cîteaux. However all vineyards are lost. In 1925 a herd of Montbeliarde cows was acquired and since then the monks produce wonderful cheese. 05.30 pm Tour of the Château du Clos de Vougeot. In former times the Château du Clos de Vougeot was the acrigultural domaine of the nearby Abbey of Cîteaux, where the roots of the Order of the Cistercians lie. In 1336 the Cistercians created the wall-surrounded vineyard Clos de Vougeot as you see it still today. The Château building is a grand 16th century Renaissance-style manor house, with a wine cellar dating back to the 12th century. It sits majestically in the center of the 125 acres Grand Cru vineyard ‘Clos de Vougeot’ – the largest Grand Cru site in all of Burgundy. It has been owned since 1945 by the Confrérie des Chevaliers du Tastevin, a worldwide organization dedicated to the love of wine from Burgundy. The above-ground cellar, with its four enormous antique wine presses, is now used for their monthly dinners. 06.45 pm Arrival and check-in at Hotel La Gentilhommière in Nuits-Saint-George, Côte de Nuits. Hotel La Gentilhommière in Nuits Saint-George is a 3+star Hotel, a typical Burgundian residence situated on the outskirts of town in a 30 acres beautiful park with a huge swimming pool and tennis courts. 07.30 pm Dinner at the restaurant La Gentilhommière. 09.15 am Vineyard tour, cellar tour, tasting at Domaine Armelle et Bernhard Rion in Vosne-Romanée, Côte de Nuits, with Armelle Rion. Armelle Rion was our host.We also met her husband Bernard Rion, her daughters Melissa and Alice Rion and Alice's husband Louis Rion. 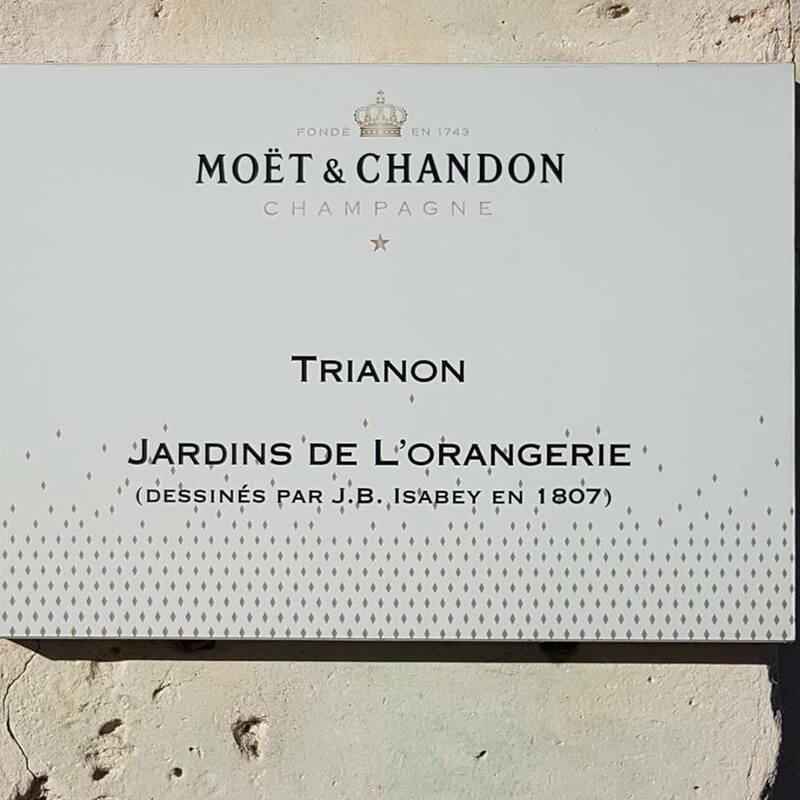 Domaine Rion was founded in 1880 by Pierre Rion. His son Louis substantially enlarged the domaine. Forth generation Bernard Rion now manages the Domaine Rion with his wife Armelle and his daughter Alice. Wine production is very traditional with a high respect for nature. Vineyard management methods rely on natural or very specific products. 'Pheronomes' are diffused around the vineyards to provoke sexual confusion in certain insects eliminating the need to use insecticides. The average vines are over 50 years old and their roots draw nutrition from deep down in the ground. We will explore the vineyards with Alice’s husband Louis who is the vineyard manager and can tell us everything you ever wanted to know about the Vosne-Romanée sites. We will also walk through the village and explore the world famous vineyards such as Romanée Conti, La Tâche,, etc. We will take the ‘Route des Grand Cru’ to Gevrey-Chambertin. We pass through the famous Grand Cru vineyards. We have time to stop, to look, to soak in the beauty of the sea of vines, and to admire these vineyards sandwiched between the route Nationale and the wooded hills to the west. 11.45 am Cellar tour and tasting at Domaine Guillon & Fils in Gevrey-Chambertin, Côte de Nuits, with Alexis Guillon. Alexis Guillon was our host. Jean-Michel Guillon was born in Paris and a pilot with the French army. Nobody in his family was ever involved in wine. He always loved Burgundy wines and in 1980 he boarded a train to Burgundy, got off and stayed. He had no training or any qualifications in winemaking. He studied what the experienced masters in the region did and built up relationships that have led to acquisitions of vineyards. 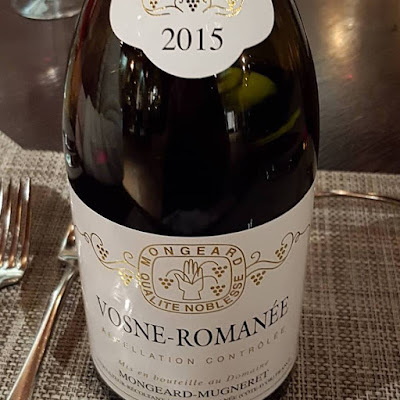 Through tireless work he built a domaine of 35 acres of vineyards in the finest sites, among them parcels in the 2 Grand Cru sites: Clos de Vougeot and Mazis-Chambertin. In 2005 his son joined to work in the winery. Since 1990 the prominent French wine magazine Guide Hachette regularly selects the Guillon wines as top wines. 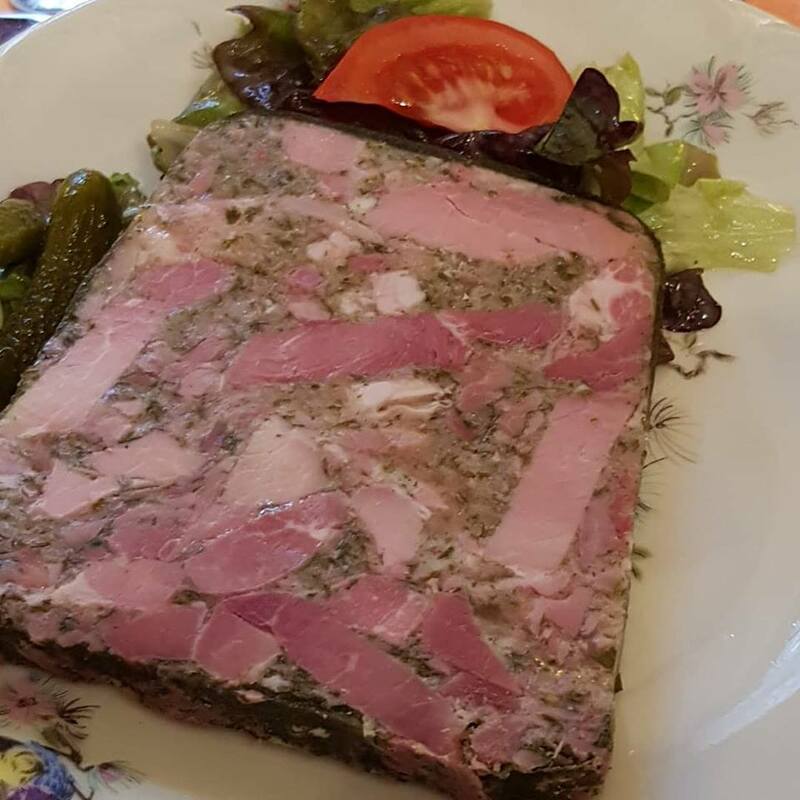 01.30 pm Lunch at restaurant Chez Guy in Gevrey-Chambertin. ‘Chez Guy’ is an institution in the area. Chef Yves Rebsamen learned his trade under Michelin star chefs Ledoyen and Bernard Loiseau, This restaurant is a gathering spot for winemakers and wine merchants in the region. 03.45 pm Cellar tour and tasting at Domaine Pierre Gelin in Fixin, Côte de Nuits. with Owner/ Winemaker Pierre Gelin. Pierre Gelin was our host. 06.00 pm Back at Hotel La Gentilhommière in Nuits-Saint-George, Côte de Nuits. 08.45 am Departure and drive to Chablis. 10.45 am Cellar visit, and tasting at Domaine Jean-Marc Brocard in Préhy, Chablis. This domaine is a fruit of love. Jean-Marc Brocard is from the Côte d’Or region of Burgundy and fell in love with the daughter of a winemaker in Chablis. 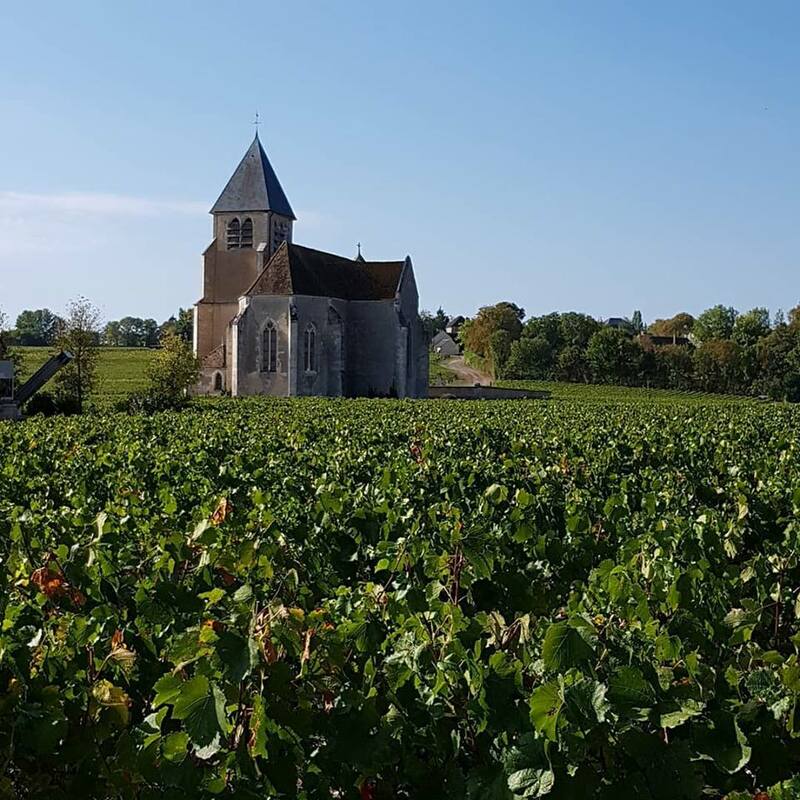 As a wedding gift, the couple got 2.5 acres of a vineyard near the church of Saint Claire in Préhy, in the vicinity of the town of Chablis. In 1973 Jean-Marc established the domaine Jean-Marc Brocard and developed the estate into a domaine with over 200 acres under vine. He had no prior connection with wine and trained with his father in-law to learn everything about winemaking. In 1996, Julien Brocard joined his father with the goal to convert to organic and biodynamic farming. The process is still ongoing. ‘La Boissonneuse’ vineyard was the first one to start with the transition process in 1997 and ‘Vielles Vignes’ followed in 2001. 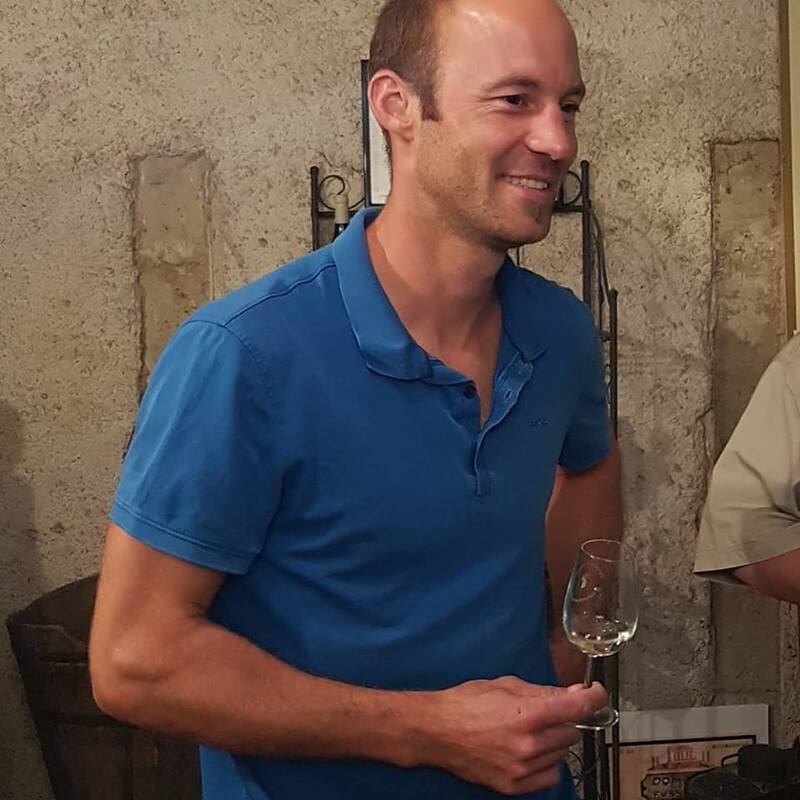 Today, Domaine Jean-Marc Brocard is run by the ‘father-son’ team and stands for the upper echelon of Chablis wines. 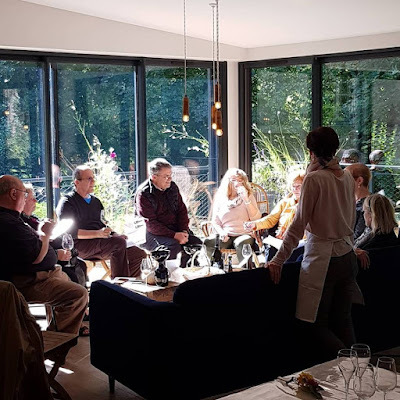 12.00 pm Tasting and Winepairing Lunch at Domaine Brocard. On the way back to the town of Chablis we stopped to have a look at the Grand Cru vineyard sites. All Grand Cru vineyards sit on the right bank of the Serein river in a natural amphitheatre between 100 and 250 meter altitude having perfect sun exposure. 02.30 pm Arrival and Check-in at Hotel Hostellerie des Clos in Chablis. 03.30 pm Visit and tasting at Château Long-Depaquit in Chablis, with General Manager Cécilia Trimaille. General Manager Cécilia Trimaille was our host. This wine estate is one of the six domains in all of Burgundy, including Beaujolais, belonging to Albert Bichot. The Bichot family can trace its roots back to 1214. They settled in Burgundy in 1350. In 1831, Bernard Bichot founded a wine trading business. His son bought the first vineyards and grandson Albert Bichot gave the family business the name and settled in the centre of Beaune in 1912. Today it is Albéric Bichot who took over in 1996. Though he fully respects family traditions, he is completely focused on the future. He compares himself to the "conductor of an orchestra, proud to bring people and their talents together over a common project". The challenges are numerous: converting to organic viticulture in the Côte-d'Or vineyards, on-going adaptation to new markets, etc. 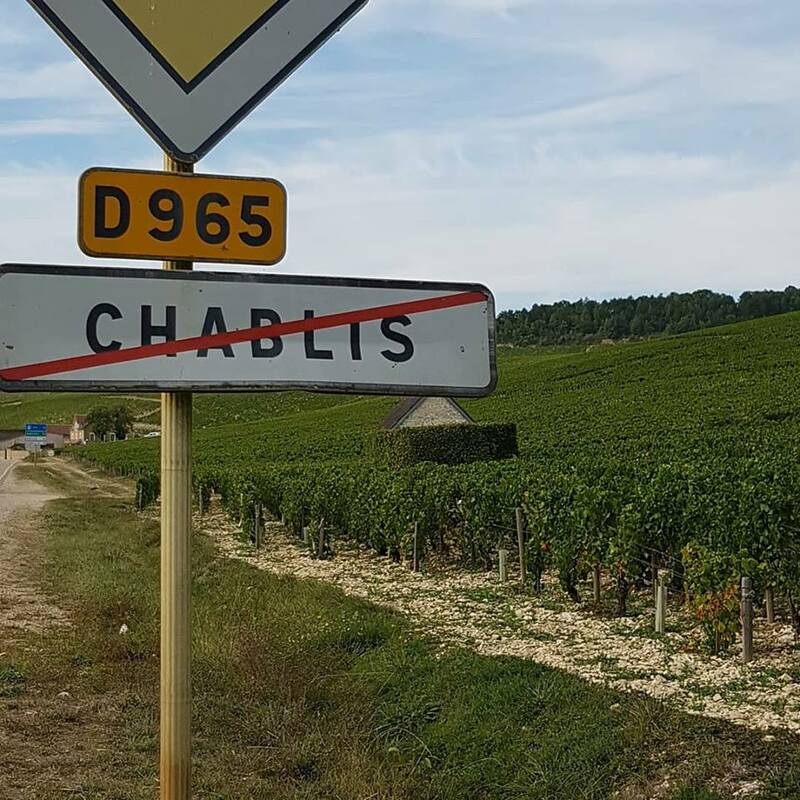 Albert Bichot now has 6 Domaines that cover all Burgundy from Beaujolais to Chablis. In the center of Chablis lies Château Long-Depaquit. Is a splendid estate and strolling through the beautiful gardens makes the time stand still. We will do a winery tour and will taste wines from the Bichot portfolio. 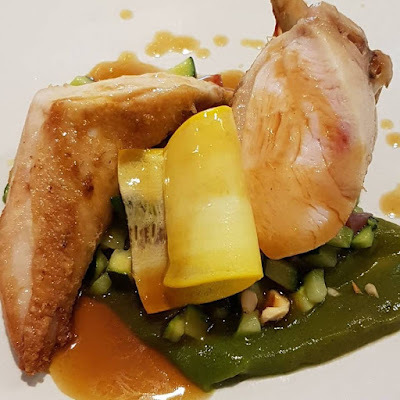 07.30 pm Dinner at restaurant Hostellerie des Clos in the hotel. This restaurant used to have one star Michelin. In my opinion the meals are still worthy of a star. Chef Michel Vignaud is well regarded beyond Chablis. 08.30 am Check-out at hotel and departure. 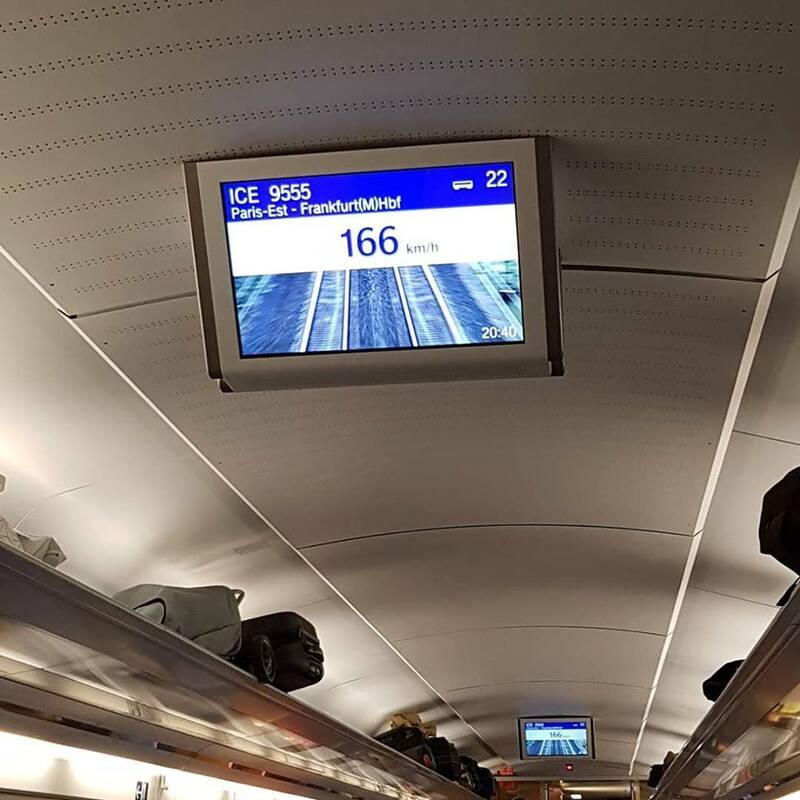 We left Burgundy and crossed into the Champagne region. 09.45 am Visit and tasting at the grower Champagne House Champagne Jean Josselin in Gyé-sur-Seine, Côte des Bar, Champagne, with Jean Félix Josselin and Export Manager Sharona Tsubota. Jean Félix Josselin showed us the champagne making facility. Export Manager Sharona Tsubota led the tasting. The Josselin family has been growing grapes since 1854 in Gyé-sur-Seine in the Côte des Bar, located 150 km south of Epernay and 200 km south of Reims and crossed by two rivers: the Seine and the Aube. The Côte des Bar became part of the official Champagne region in the early 1900s. In 1957 Jean Josselin decided to create his own brand: ‘Champagne Jean Josselin’. 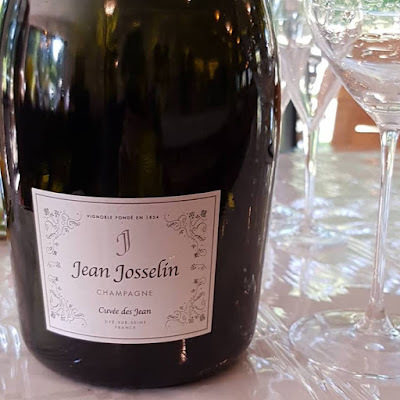 Champagne Jean Josselin ist a typical so called ‘grower Champagne’. The entire operation is managed by the family. Jean Pierre Josselin and son Jean Félix tend to the vines and take care of the vinification and Veronique Josselin does sales and marketing. They hired an American Sharona Tsubota to get into the American market. 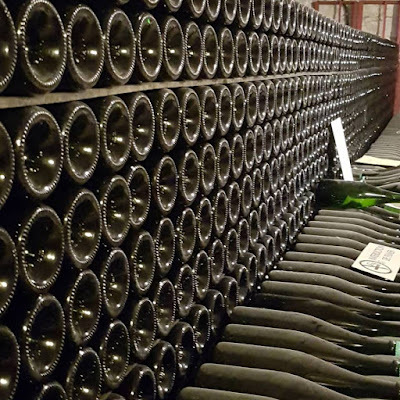 The Champagne house Jean Josselin produces about 100,000 bottles per year depending on the vintage. We will get a fabulous introduction to the steps it takes to produce a top notch Champagne. 12.45 pm Lunch at Bistro DuPont in Pont–Sainte-Marie. 02.00 pm Departure and drive to Épernay, Champagne. 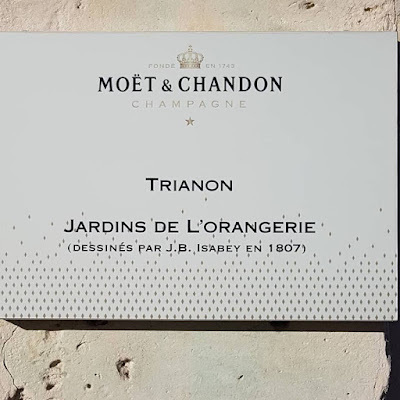 03.15 pm Arrival and Check-in at Hôtel Jean Moët in Épernay, the capital of the Champagne viticultural region. Hôtel Jean Moët in Épernay is a 5 star exquisite boutique hotel on Épernay's elegant street dotted with palaces and mansions from a bygone era. Épernay is the viticultural capital of the Champagne region where many of the world-famous Champagne houses have their headquarters. 4:00 pm Tour of the Avenue de Champagne. 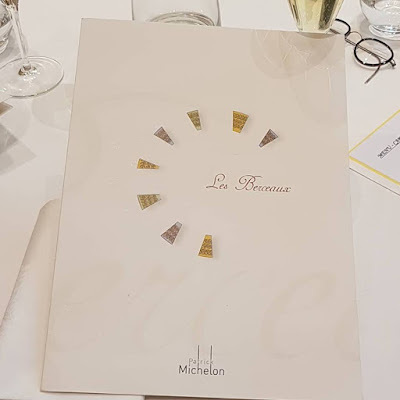 07.30 pm Dinner at 1-Michelin star restaurant Les Berceaux in Épernay. 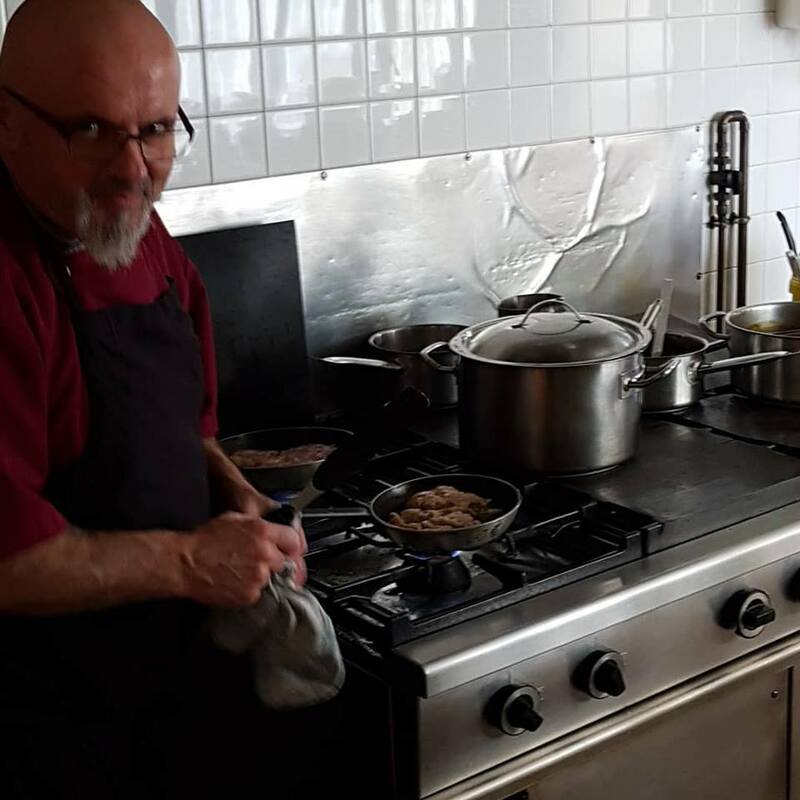 Chef Patrick Michelon spoiled us with an excellent menu. His wife Lydie Michelon greeted us. 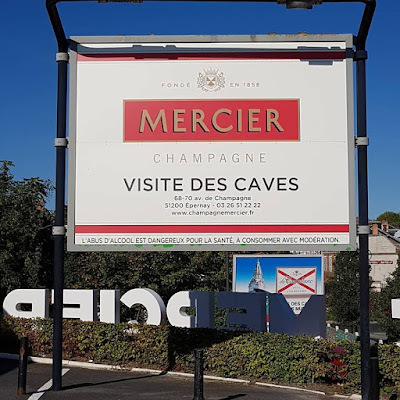 09.30 am Cellar visit and tasting at the Champagne House Mercier in Épernay. 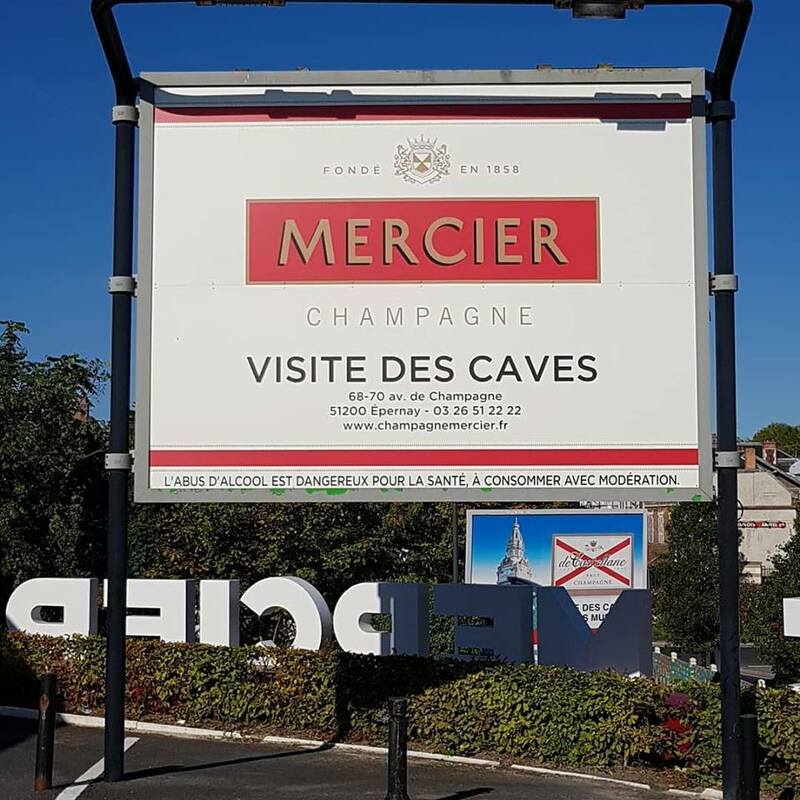 One does not visit Mercier for sipping Champagne. It is the monument and craziness of its nonconformist founder that is interesting to experience. It was in 1858 that Eugène Mercier, a daring and visionary entrepreneur, broke with champagne tradition and created a "champagne for all occasions". To get people talking about his champagne, in 1870 he decided to build the largest wine cask in the world! With a monumental gage of over 20 tonnes, measuring 5 meters in height and able to hold up to 200,000 bottles, the cask was one of the major attractions of the 1889 Exposition Universelle, a competition won by the Eiffel Tower. 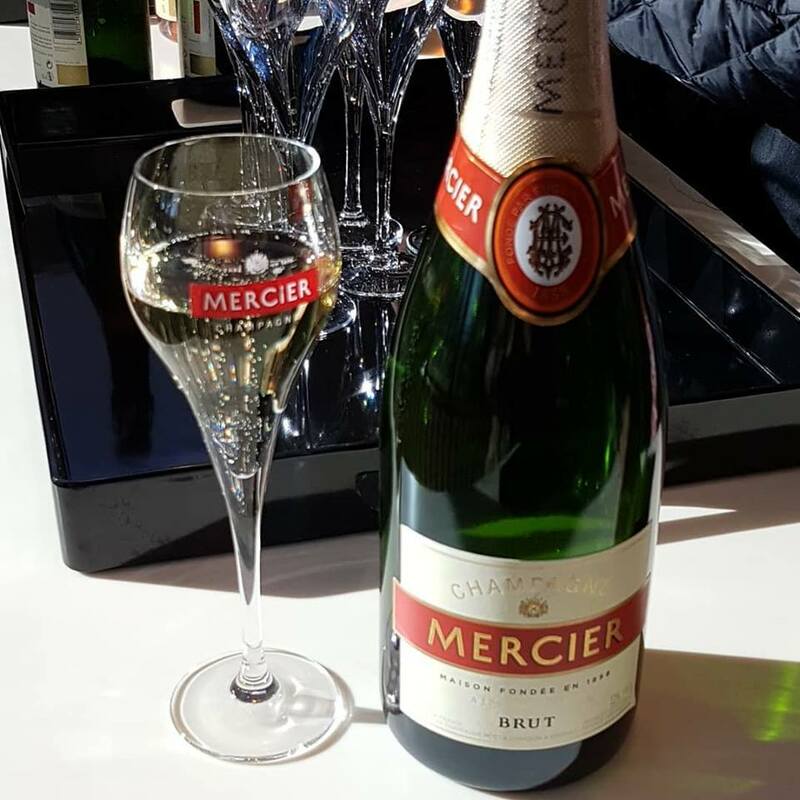 In 1871 Eugène Mercier began the construction of his cellars in Epernay. It took six years to build the 18 kilometers of impressive underground tunnels that are home to the Mercier heritage. Once the immense cellars were open, Eugène Mercier, who always had an eye for creating significant events, had visitors tour the tunnels in carriages pulled by four horses. The tour was even taken by the President of France, Sadi Carnot, when he visited Mercier in 1891. 11.00 am Departure from the Champagne region and drive to Paris. 01.15 pm Lunch and wine at La Coupole, Montparnasse, Paris. 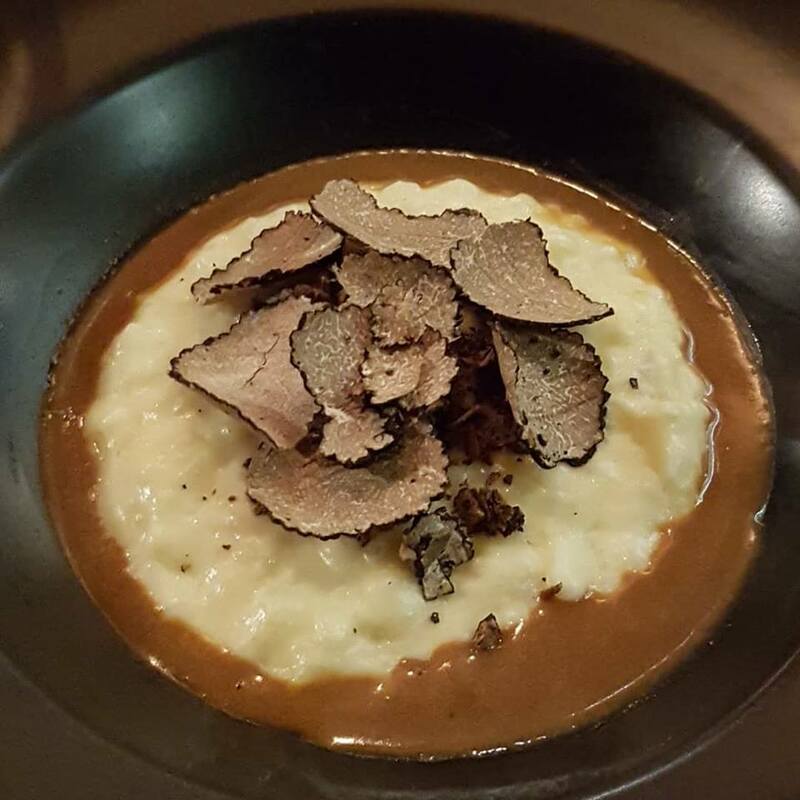 We will share an exquisite meal with wines and of course a Champagne before we all head out to different directions. 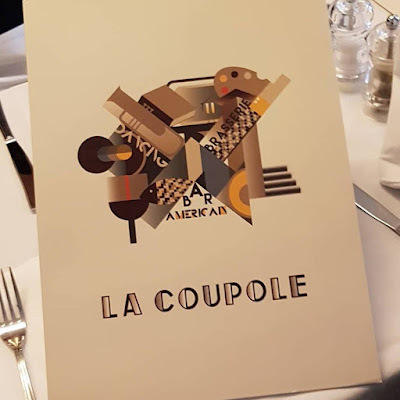 La Coupole is a historic Montparnasse café / restaurant (and an official French historic monument), which opened in 1927. 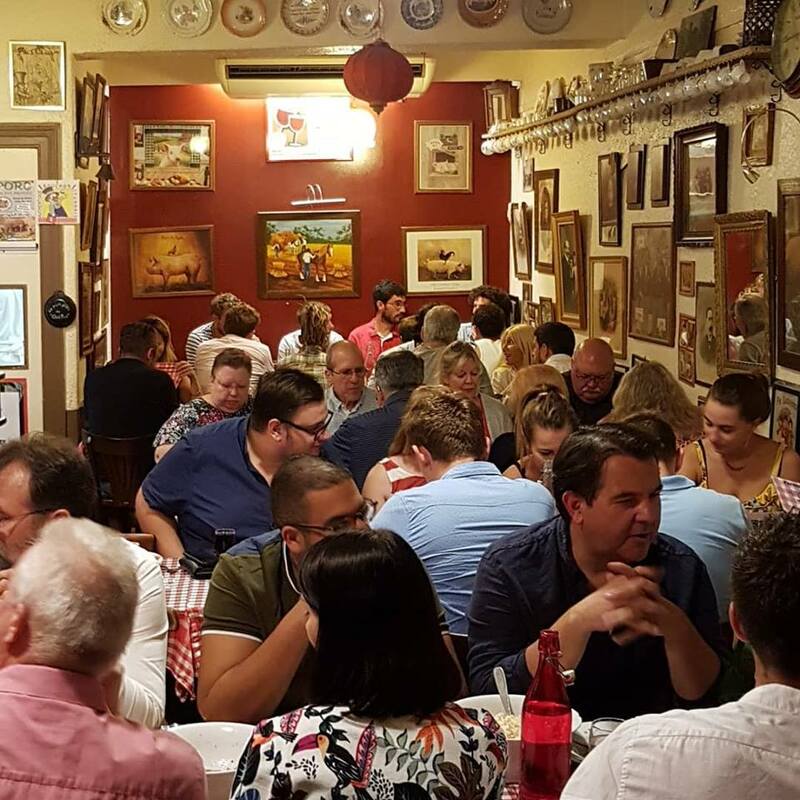 This huge restaurant is a temple of Art Déco. It still symbolizes the “roaring twenties”. In was and still is to some lesser extent one of the hotspots of the intellectuals of Paris and abroad. Simone de Beauvoir, Jean Paul Sartre, Ernest Hemmingway, Picasso, Man Ray, Camus, James Joyce, Josephine Baker, Henri Miller, Serge Gainsbourg, Jane Birkin and countless others were regulars at La Coupole. After lunch the tour ended. Annette and I went back to Frankfurt by train. Vineyard tour, cellar tour and tasting at Château de Pommard in Pommard, Côte de Beaune. Cellar tour and tasting at Domaine Pierre Gelin in Fixin, Côte de Nuits. 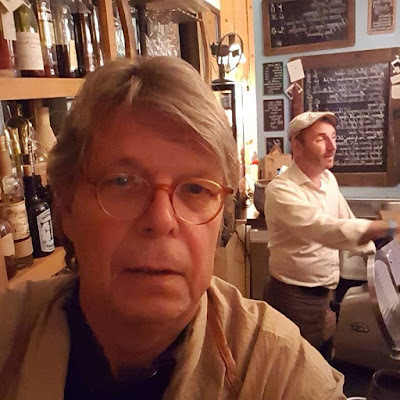 with Owner/ Winemaker Pierre Gelin. 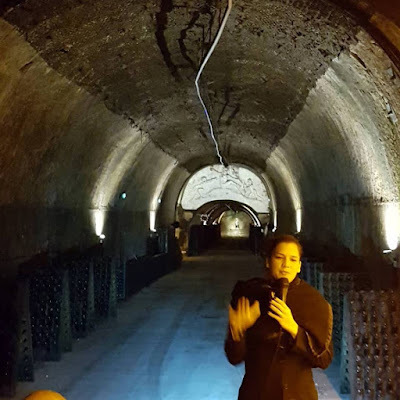 Visit and tasting at Château Long-Depaquit in Chablis, with General Manager Cécilia Trimaille. I live in the greater Washington DC (US) and Frankfurt am Main (Germany) areas and write about wine. I am a member of the FIJEV (International Federation of Wine and Spirits Journalists and Writers). Before starting to write about wine in 2009, I was for almost 30 years an economist at the International Monetary Fund (IMF). I am currently in Washington DC.